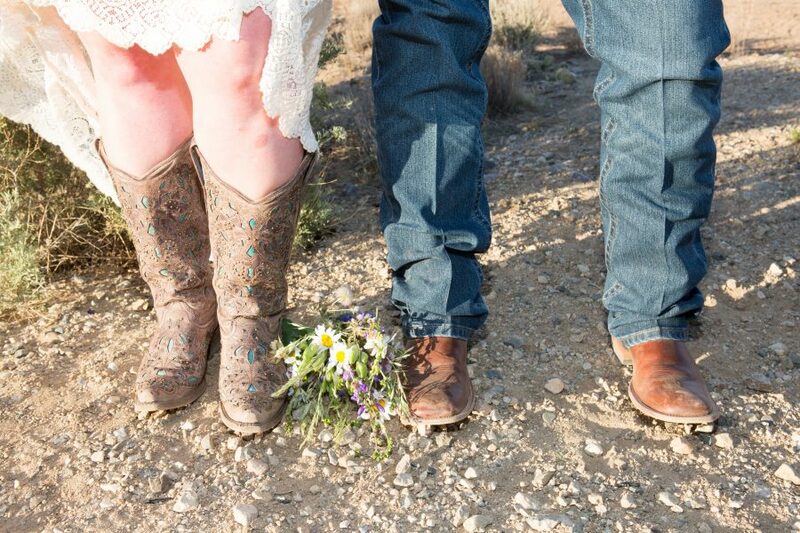 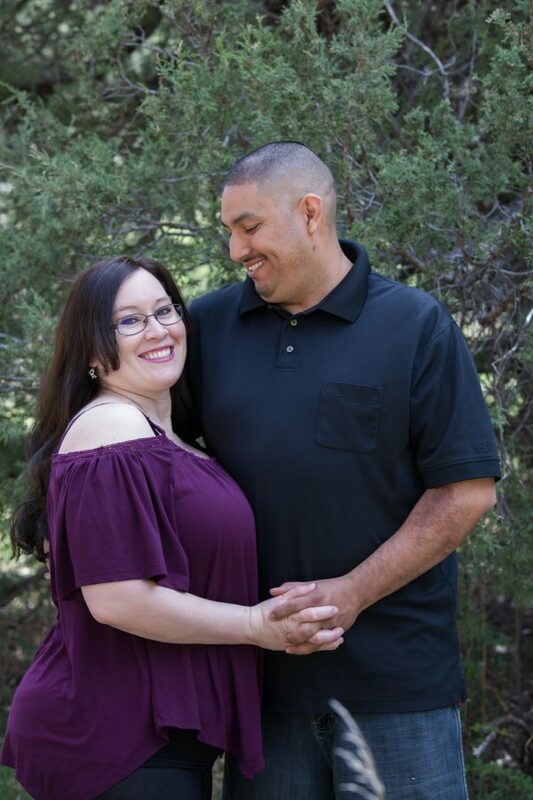 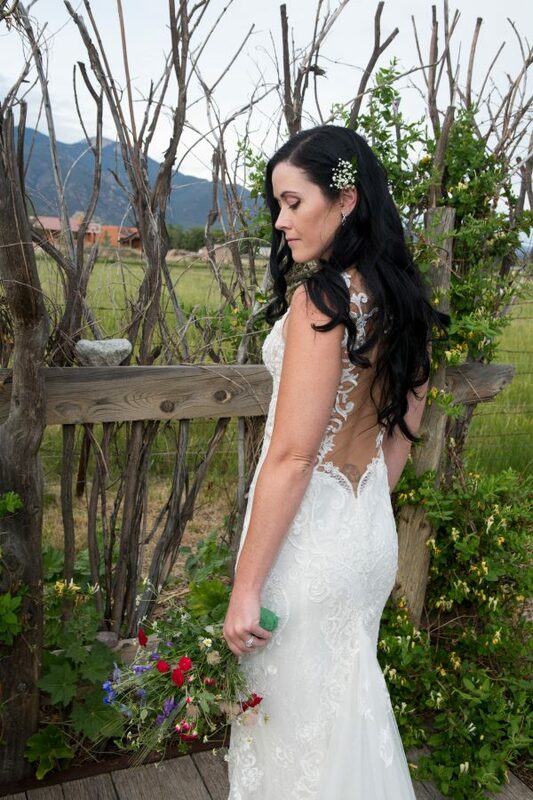 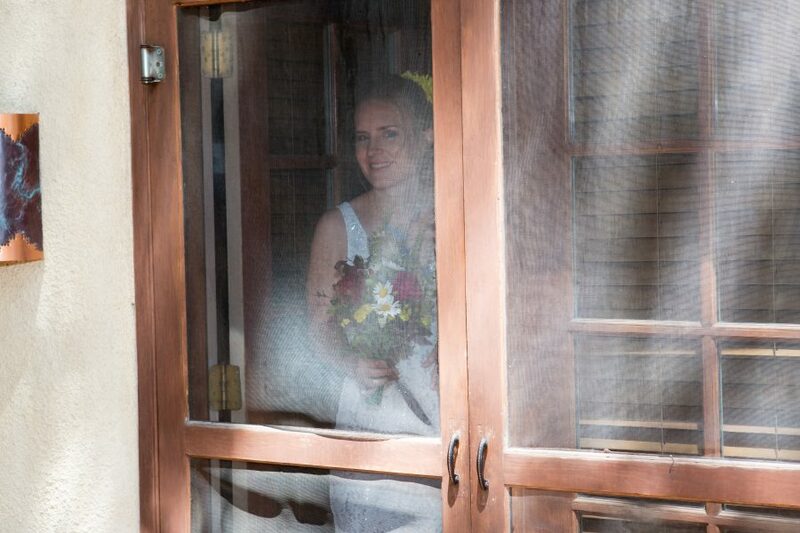 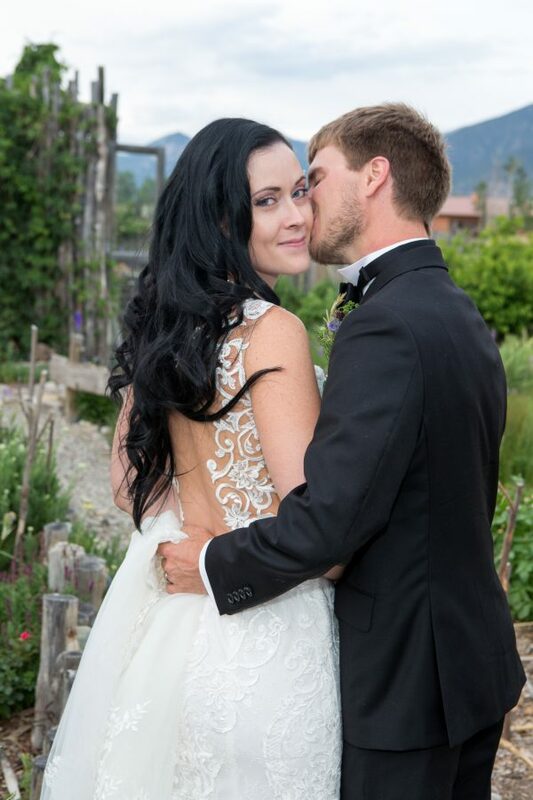 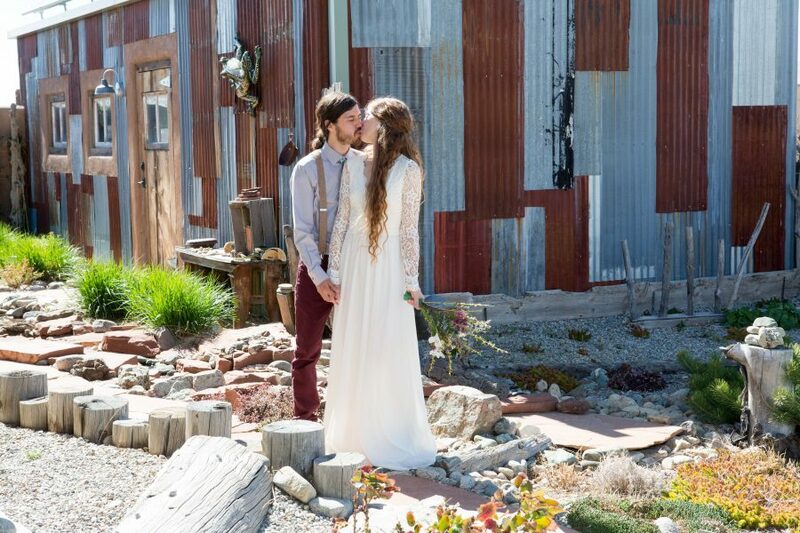 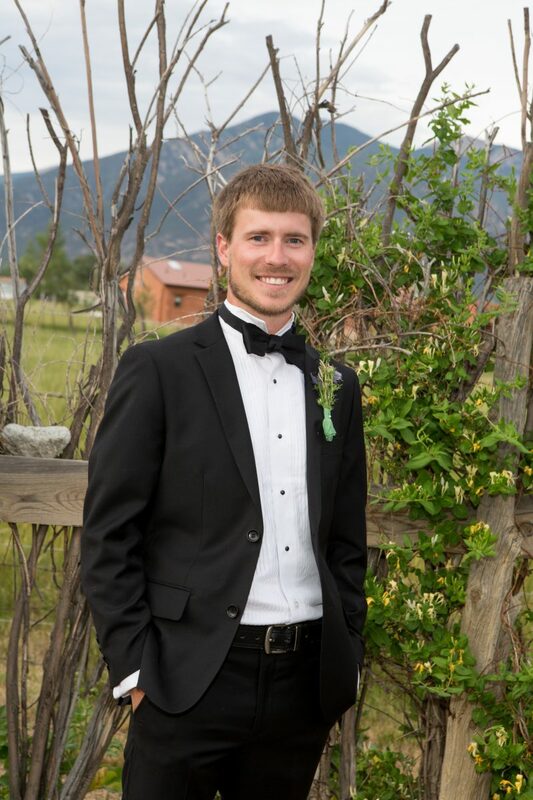 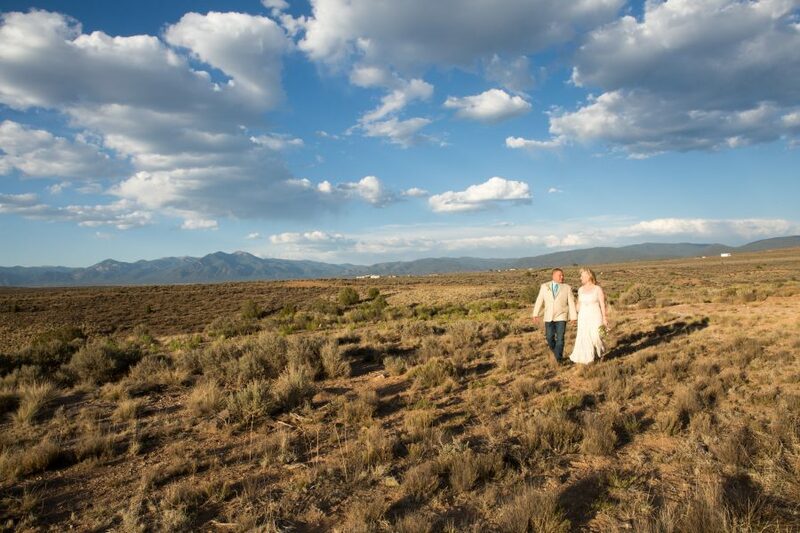 Kristina and Chris live in Albuquerque and escaped from the big city to catch some mountain air on their wedding day! 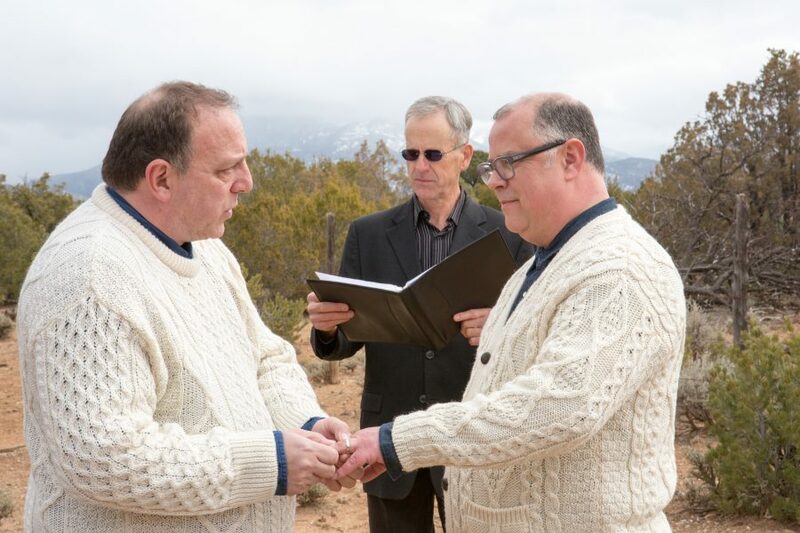 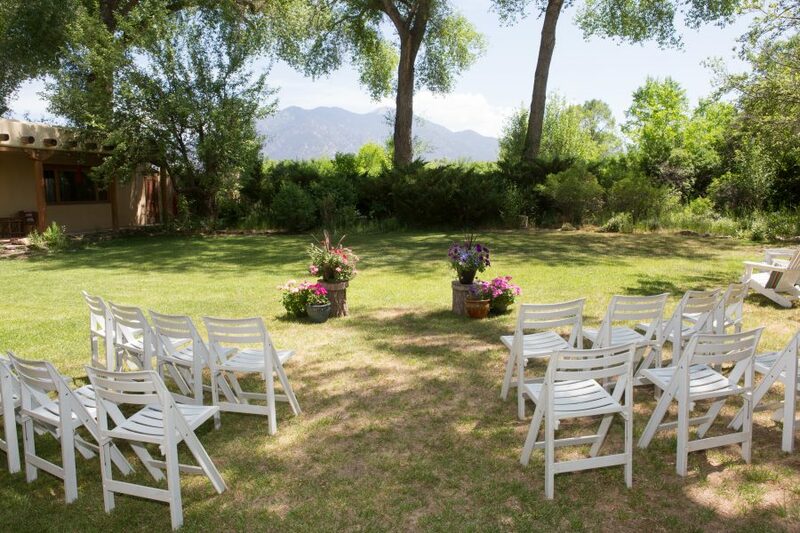 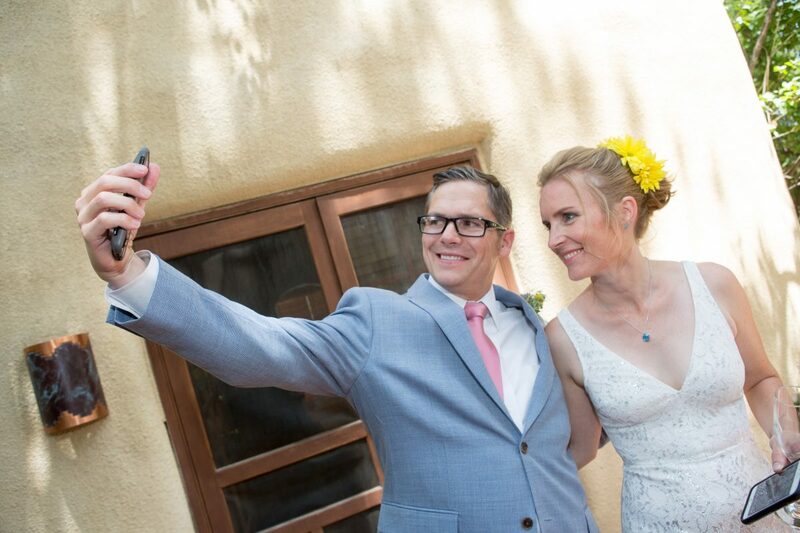 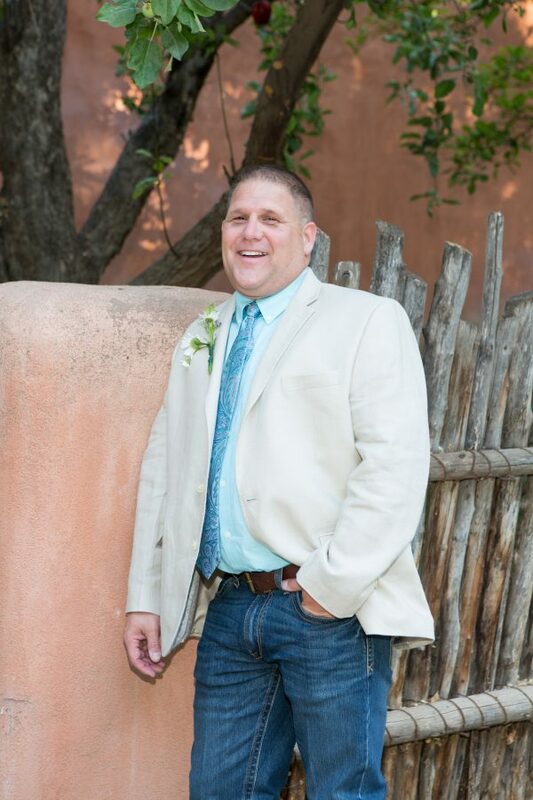 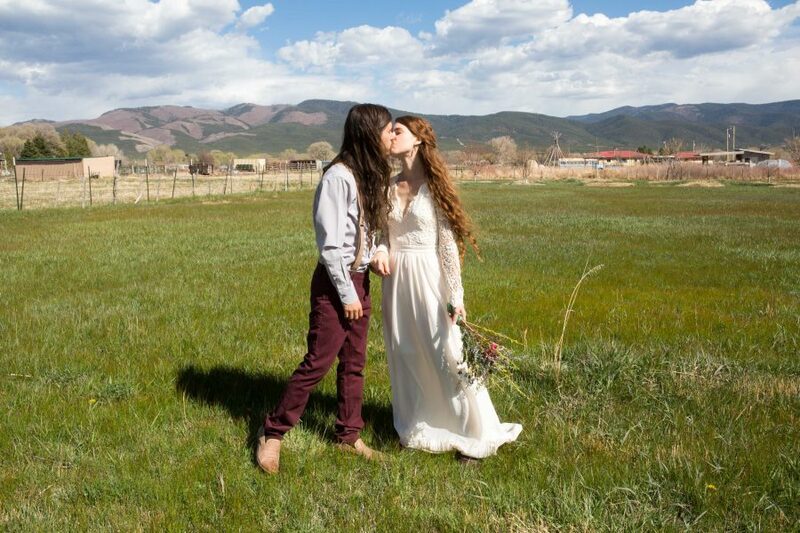 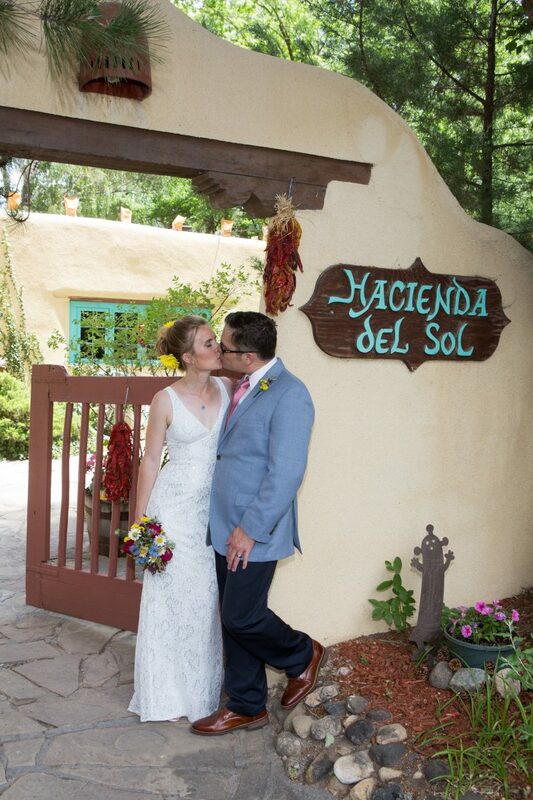 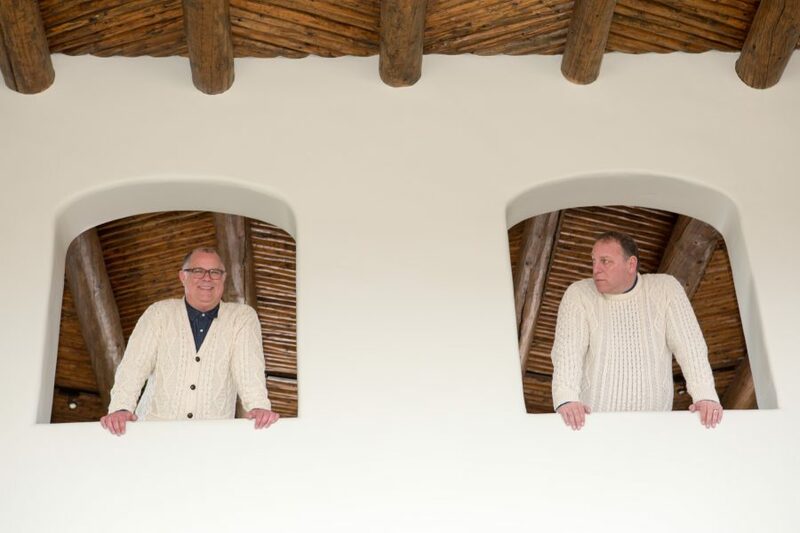 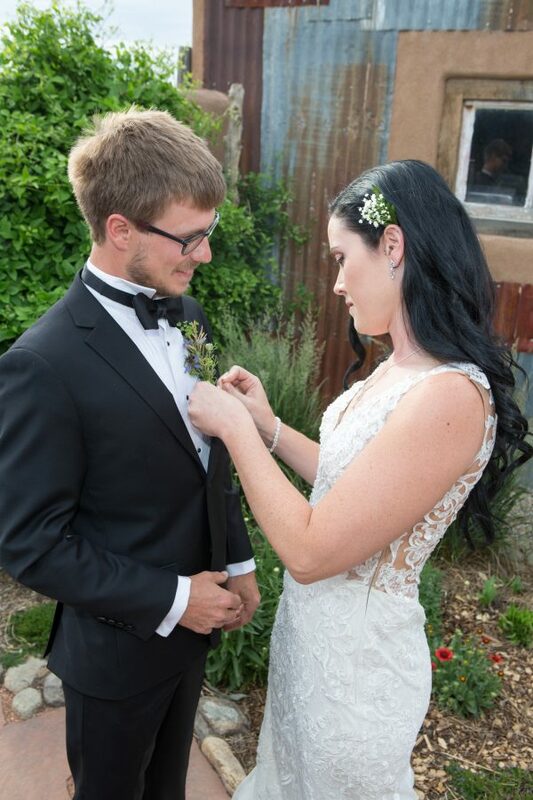 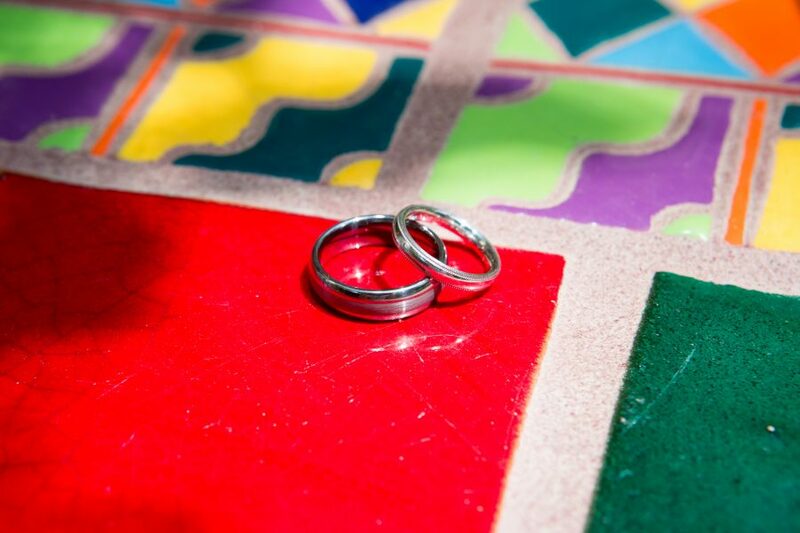 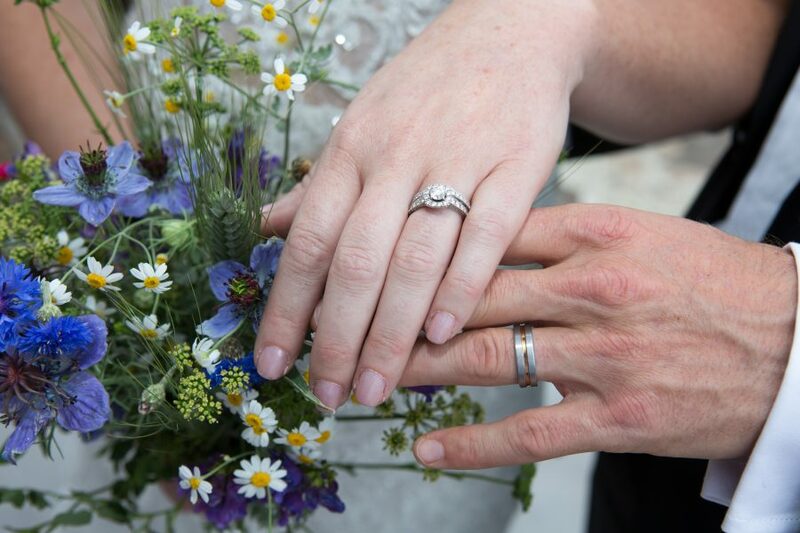 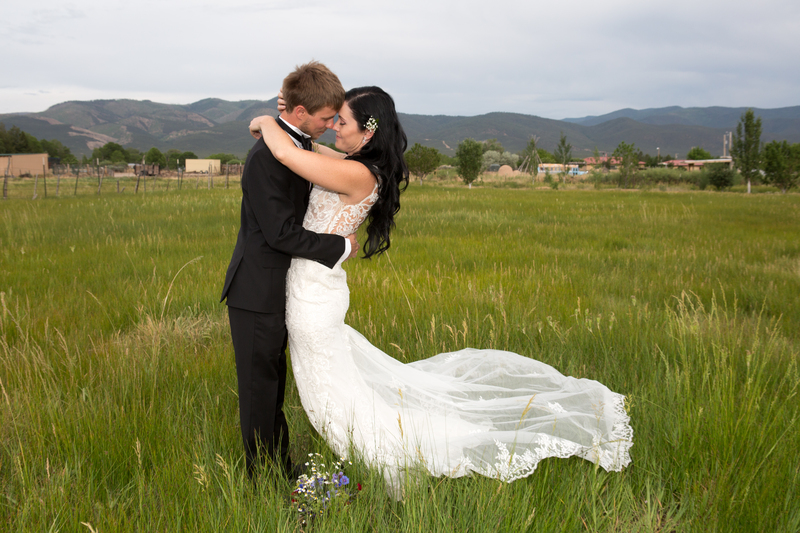 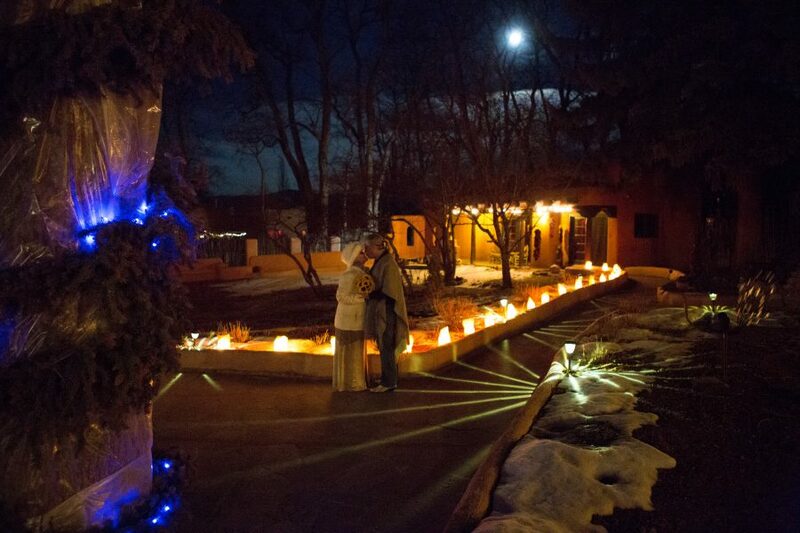 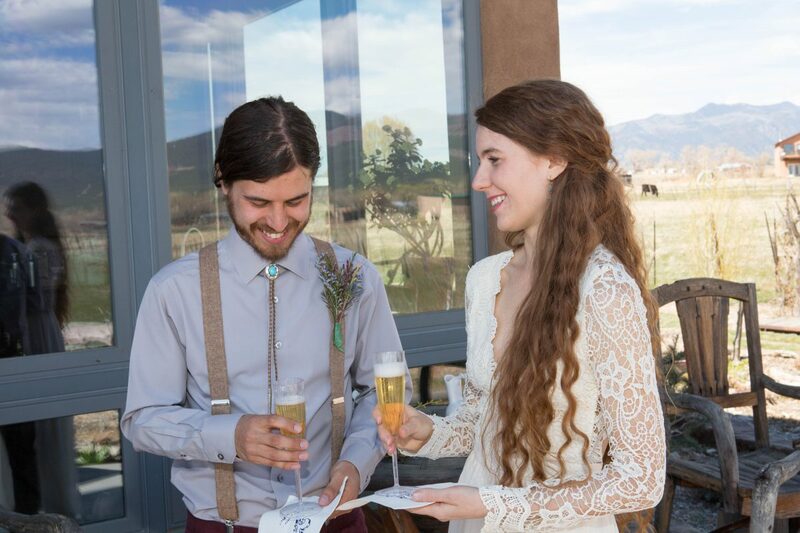 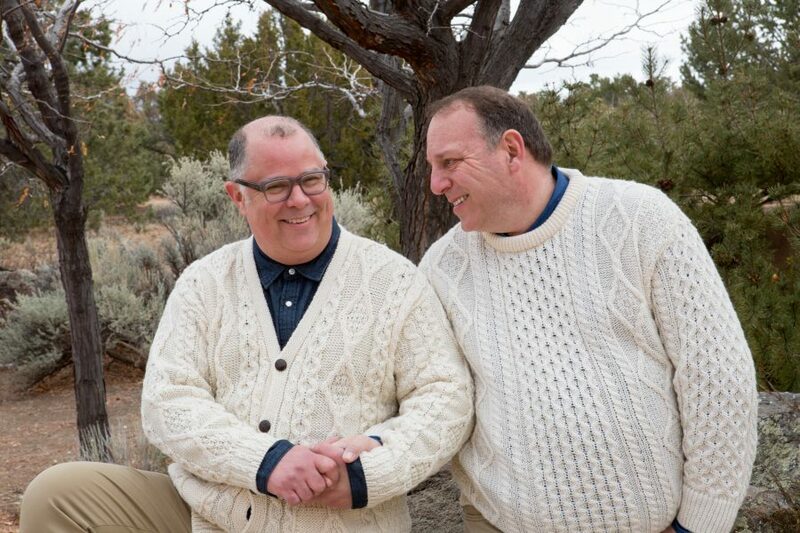 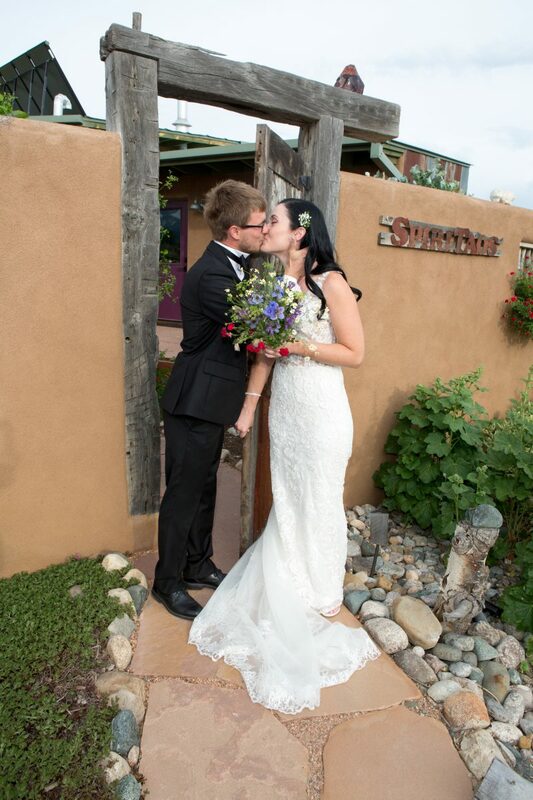 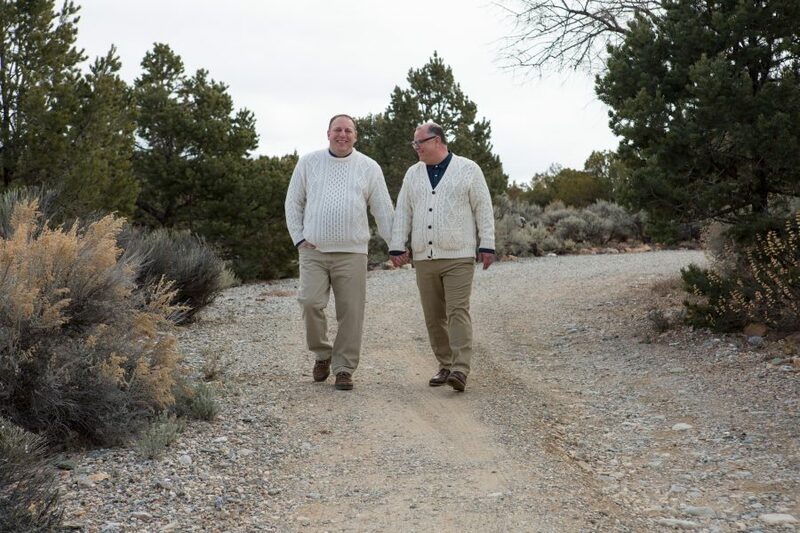 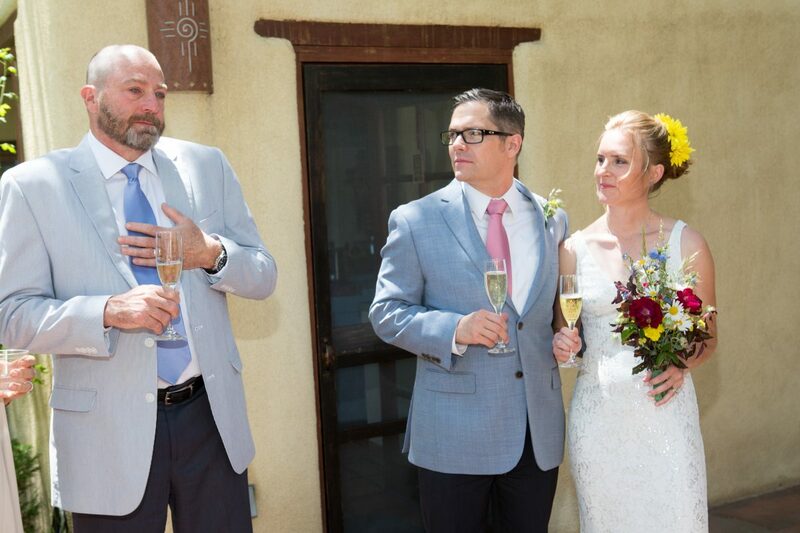 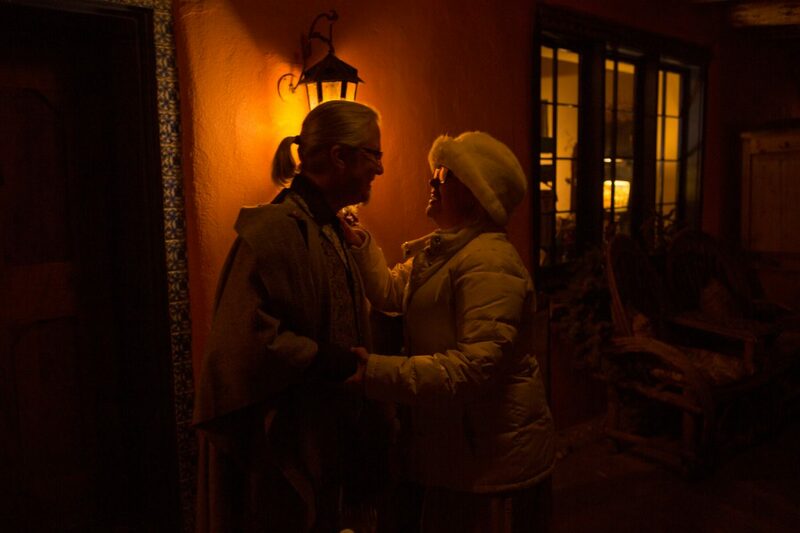 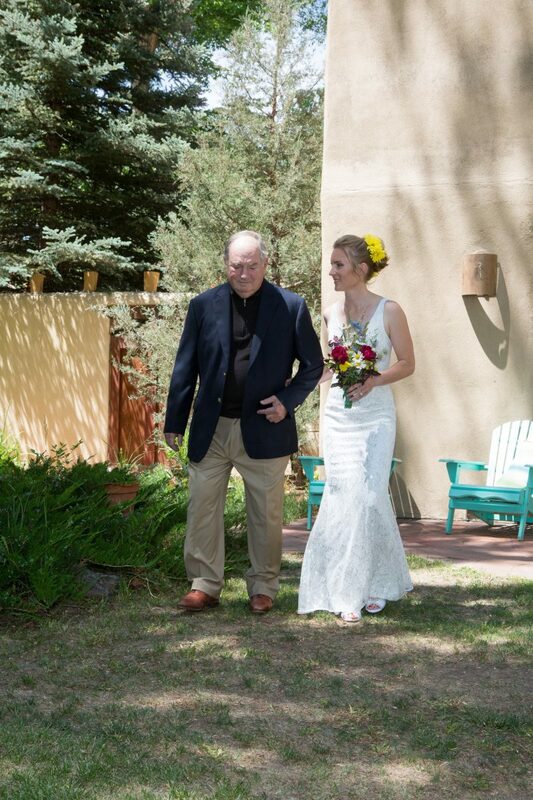 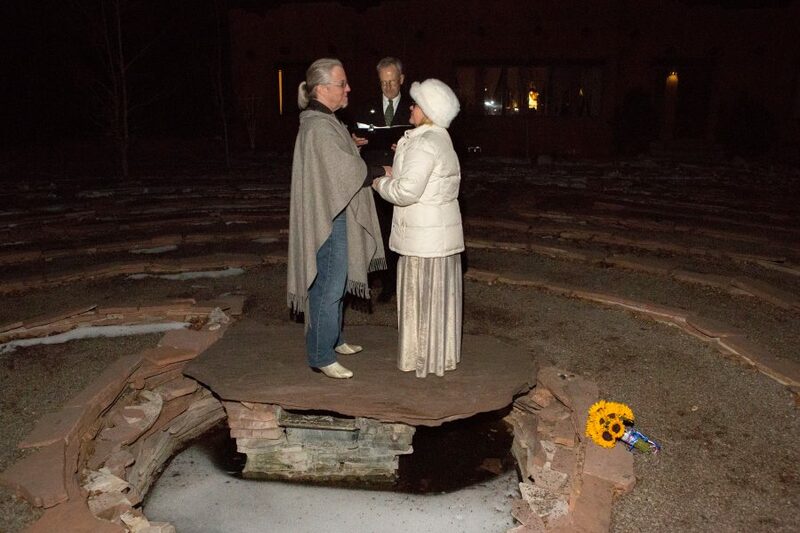 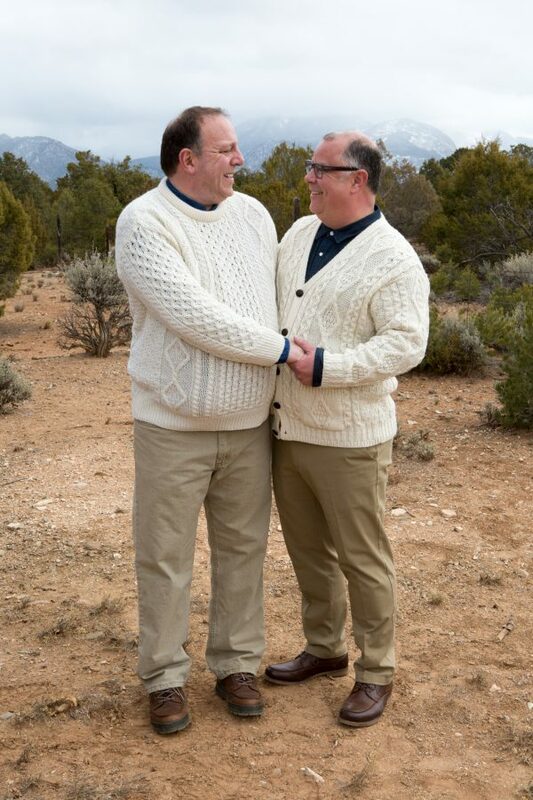 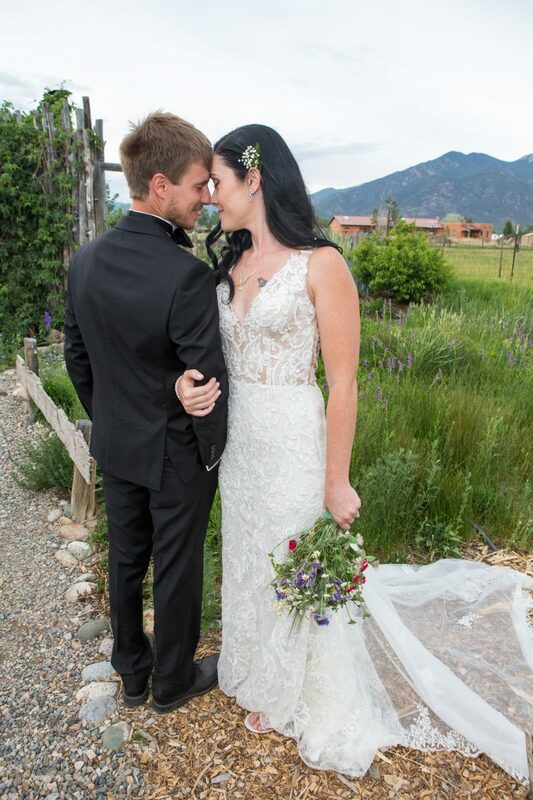 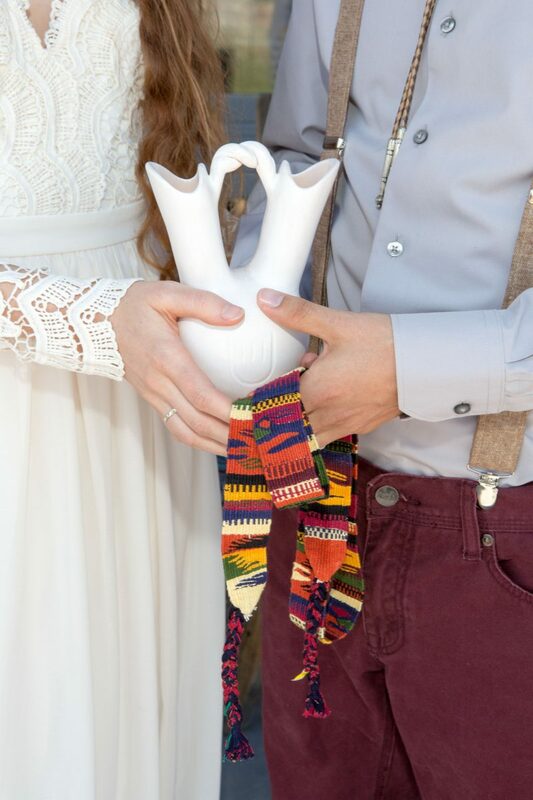 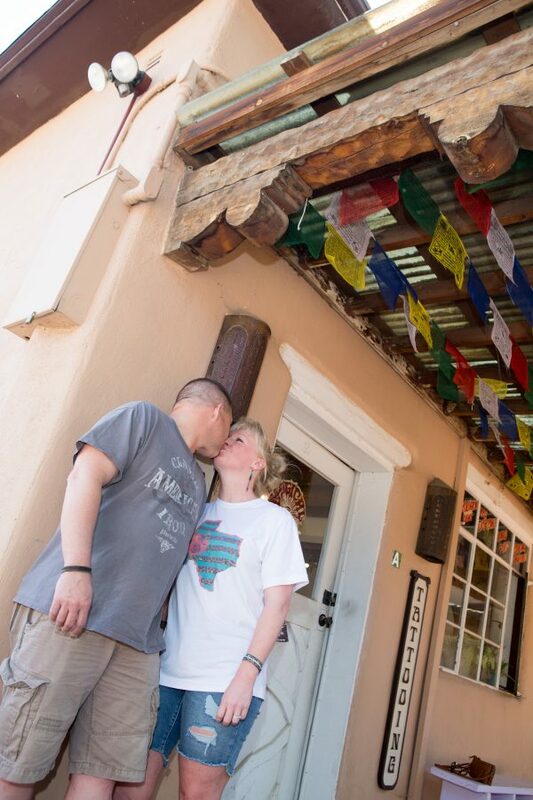 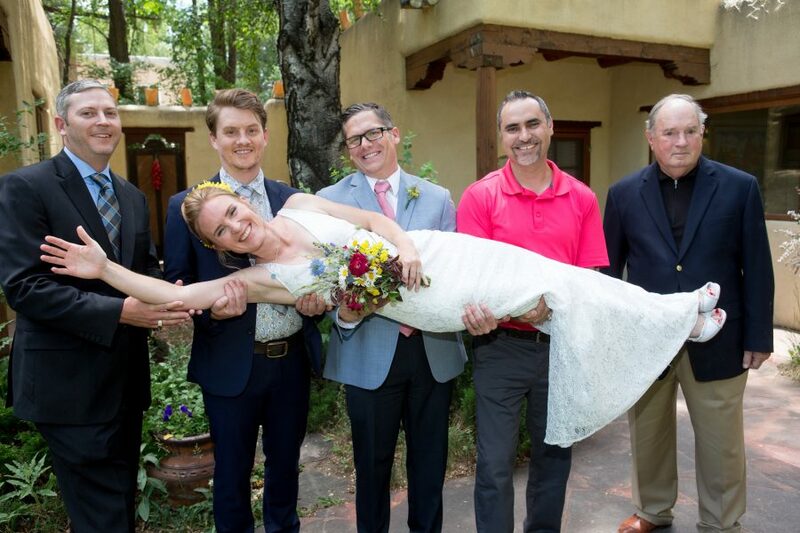 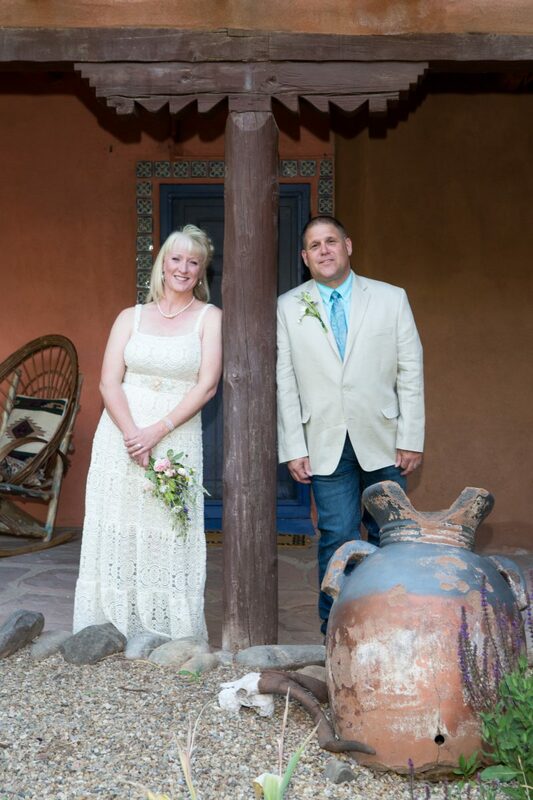 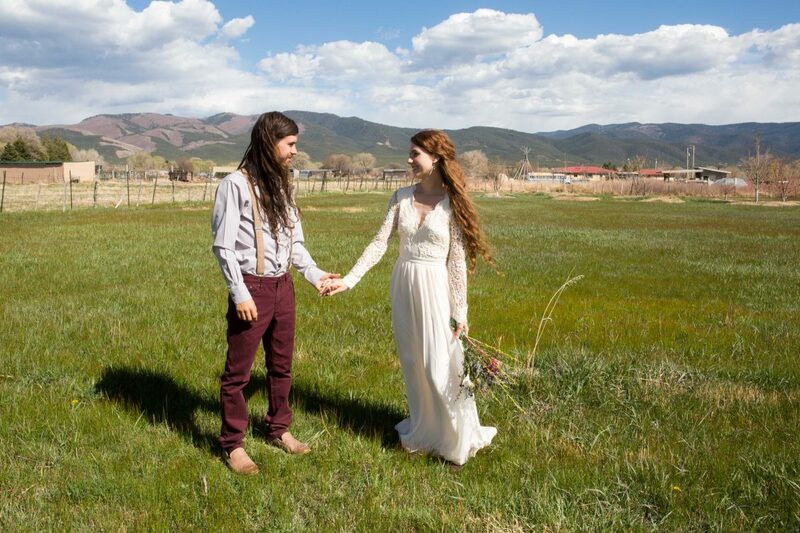 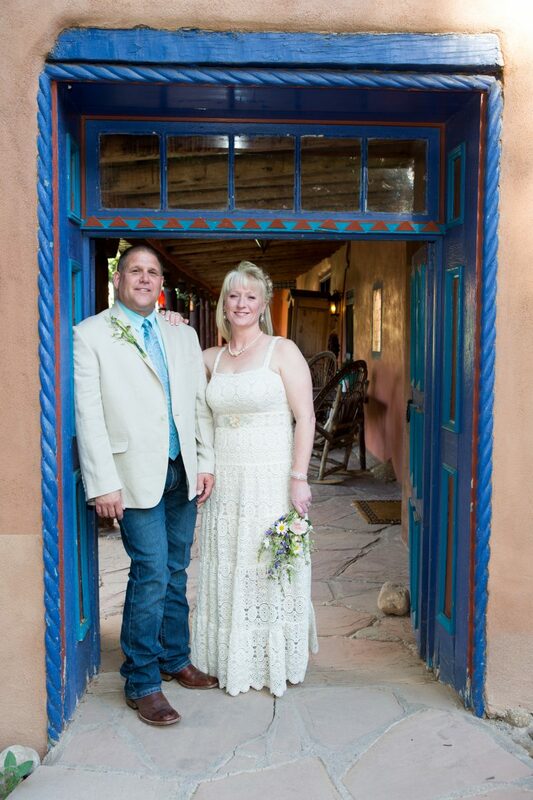 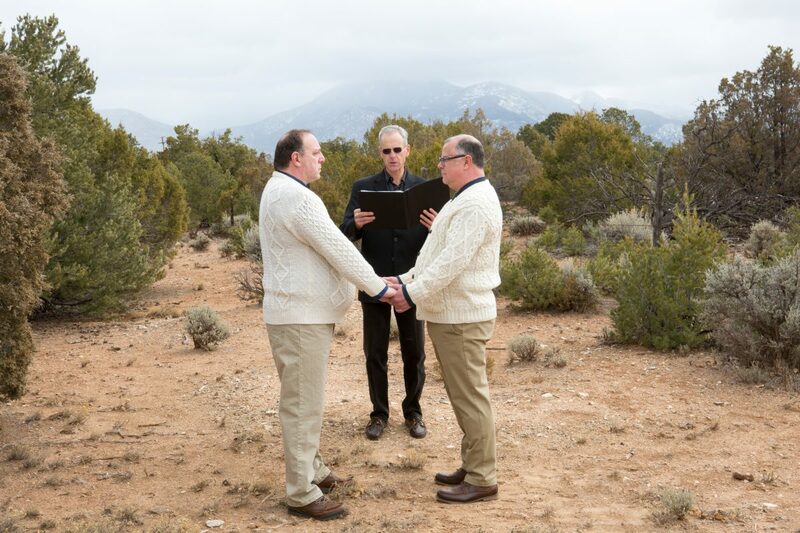 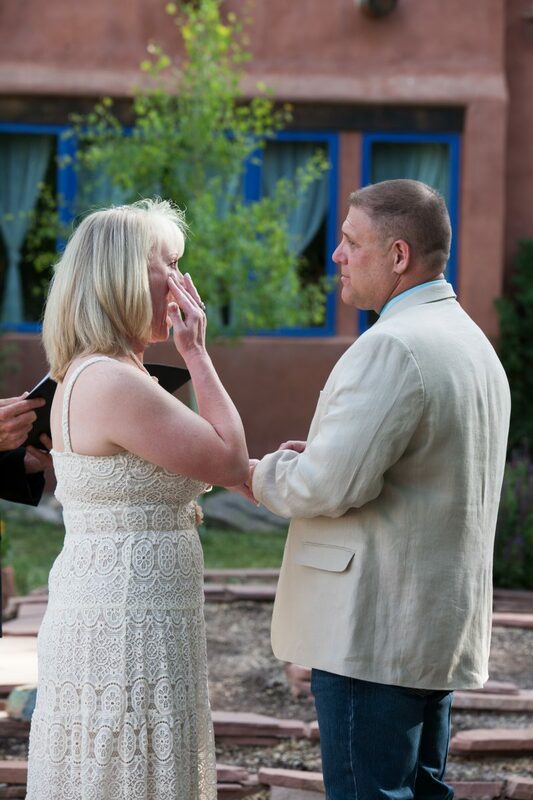 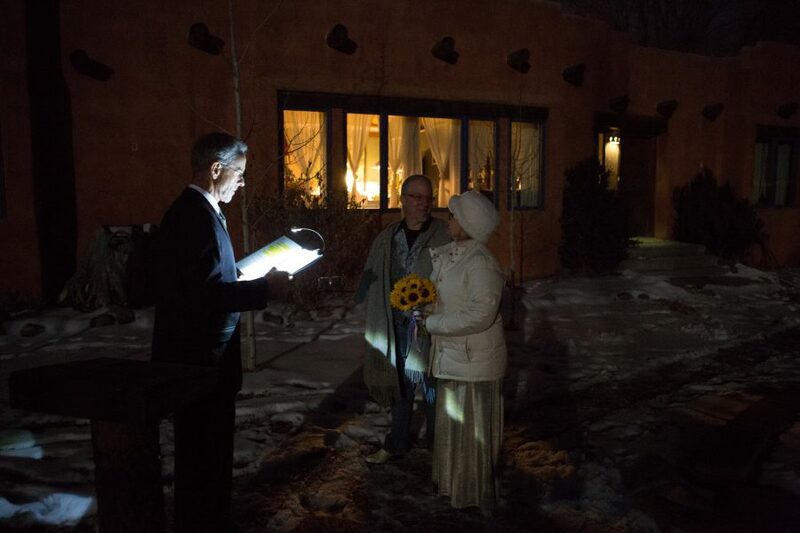 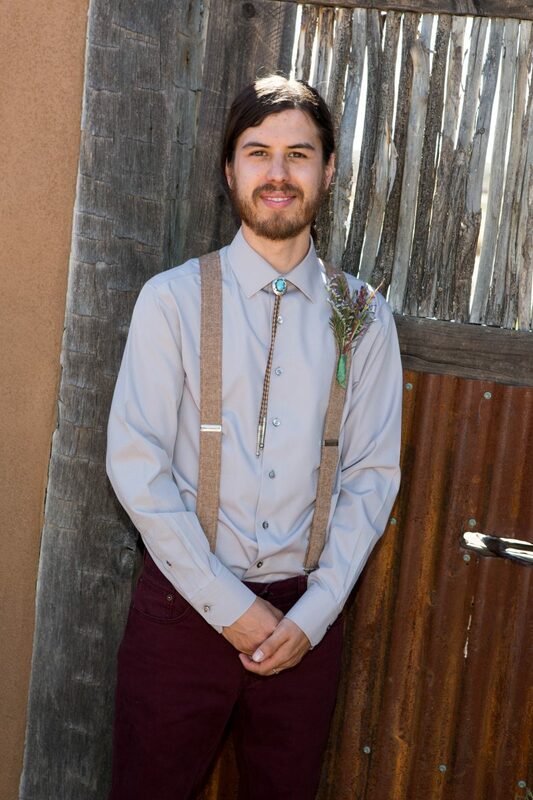 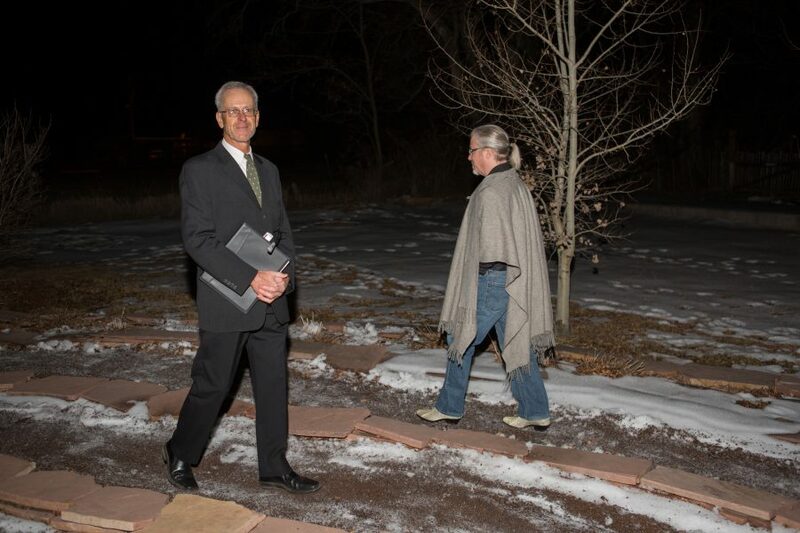 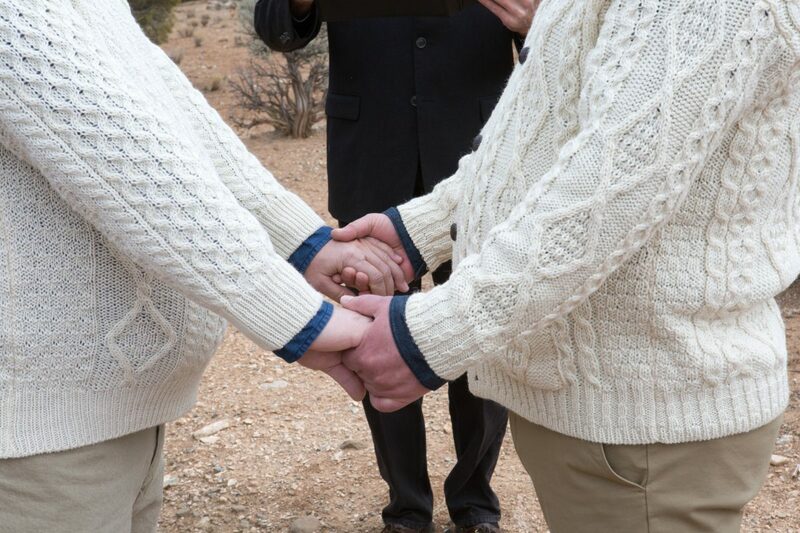 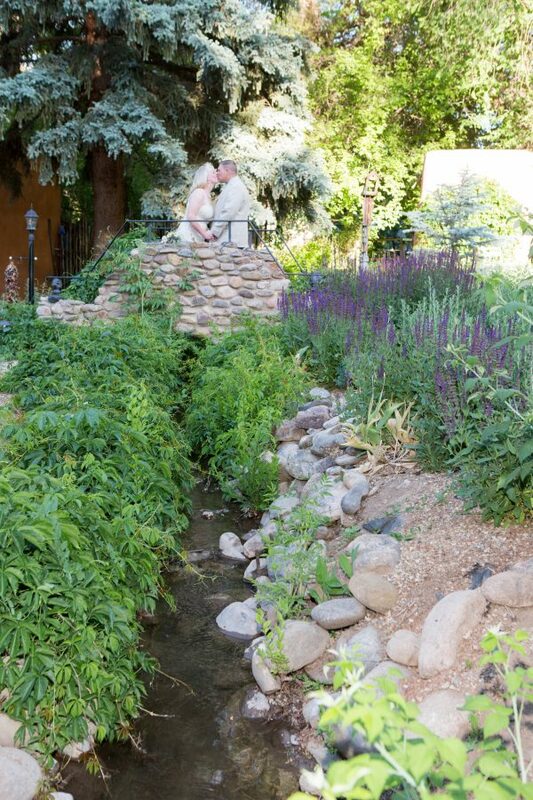 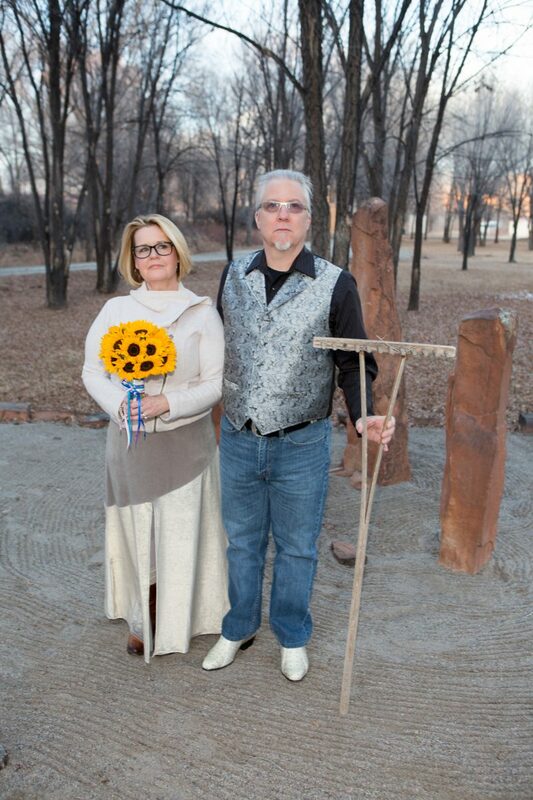 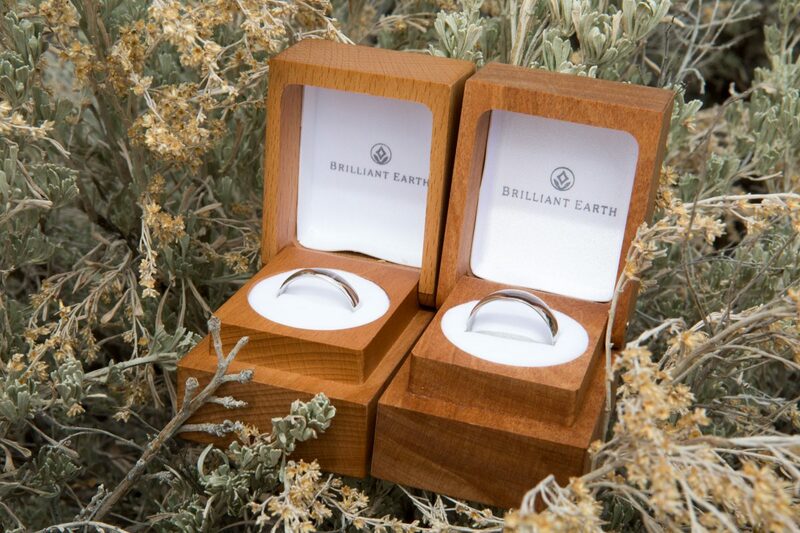 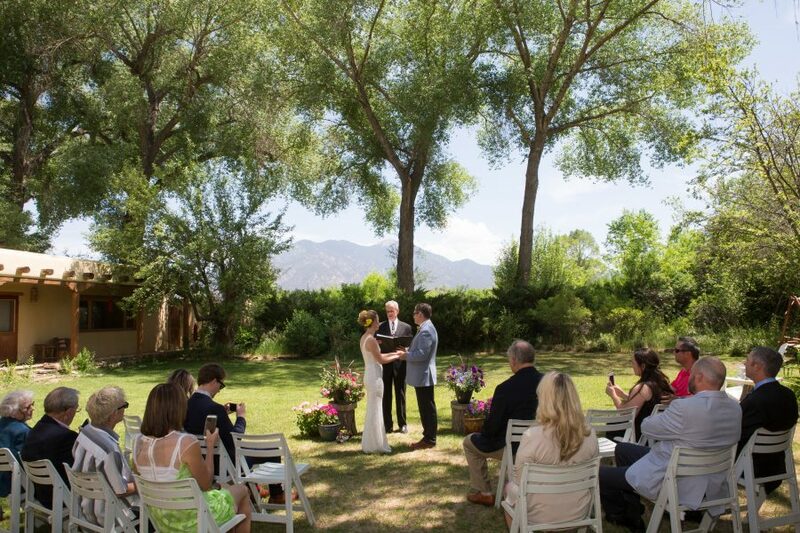 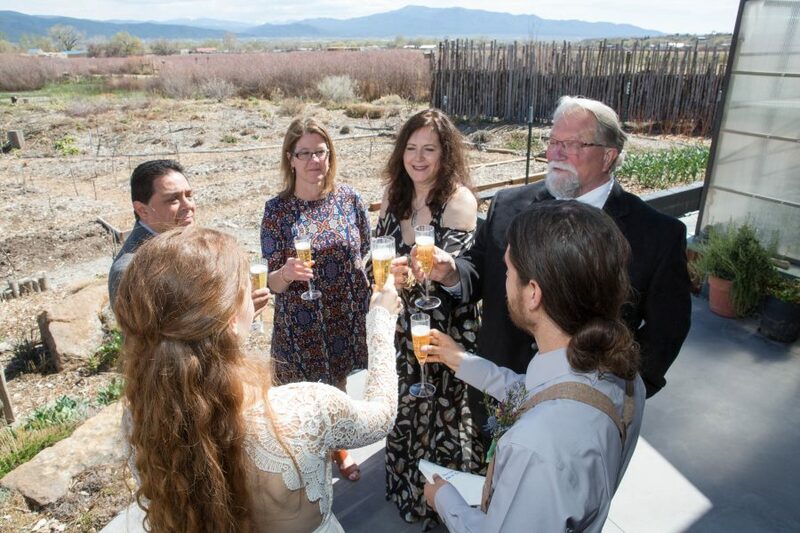 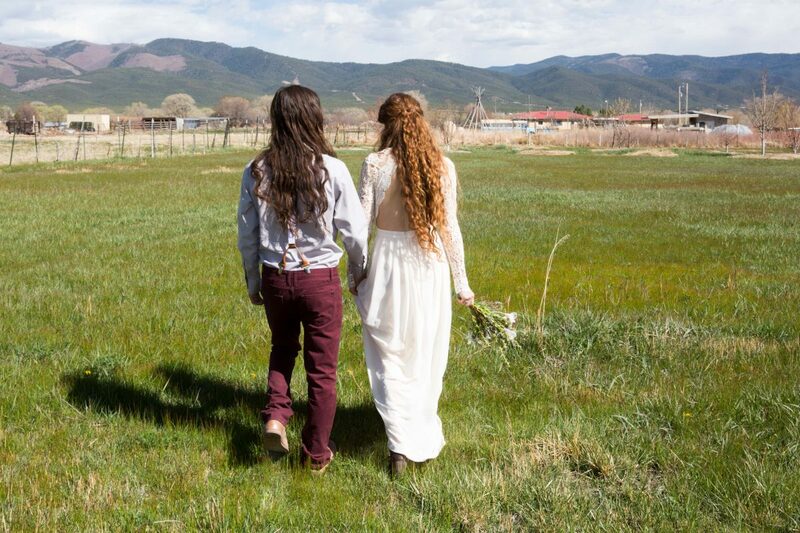 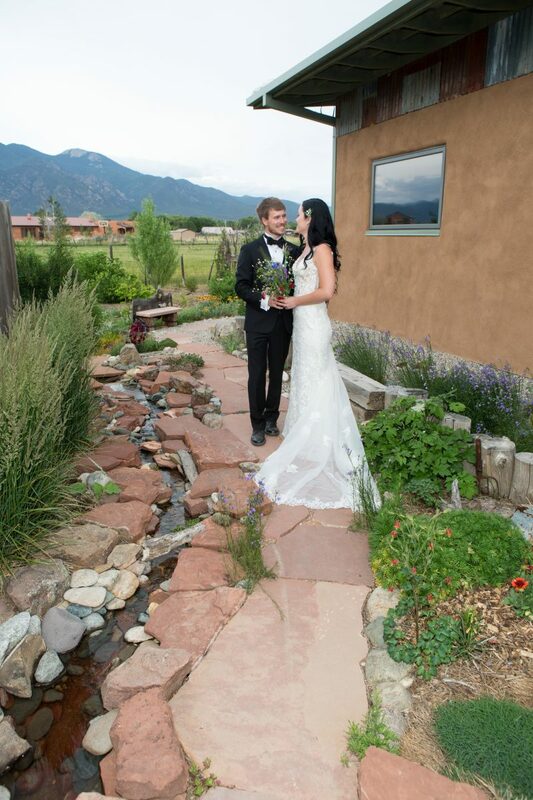 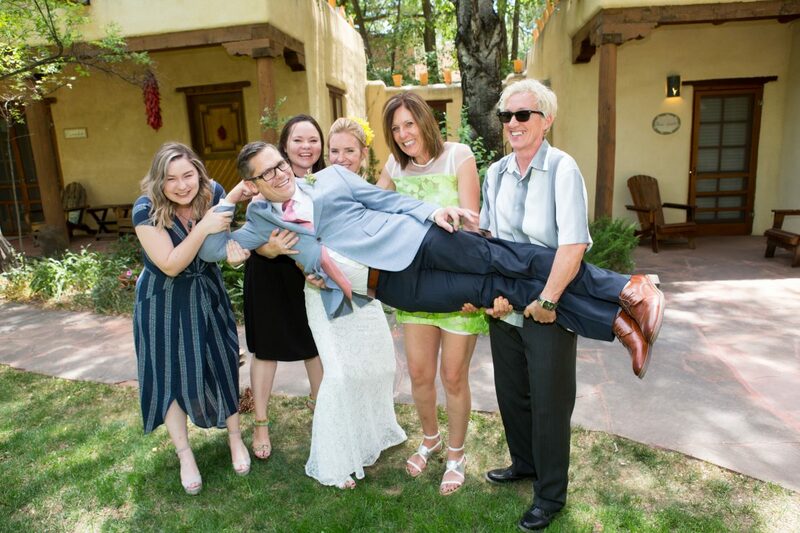 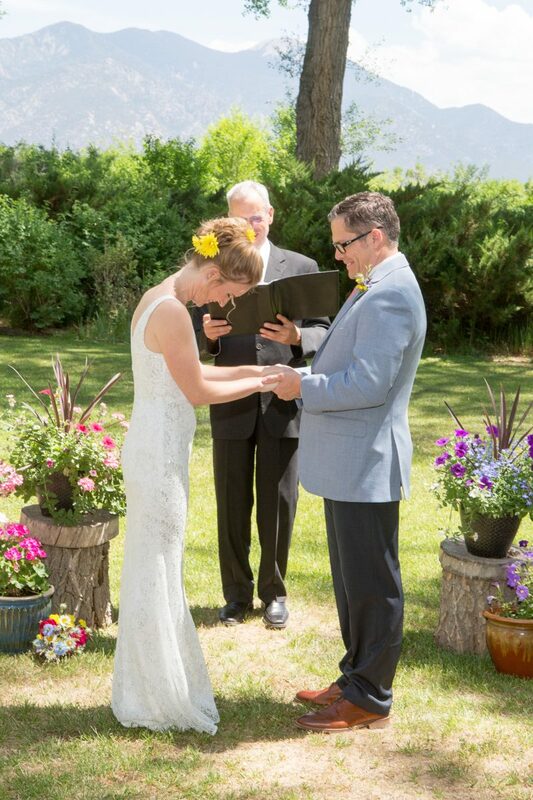 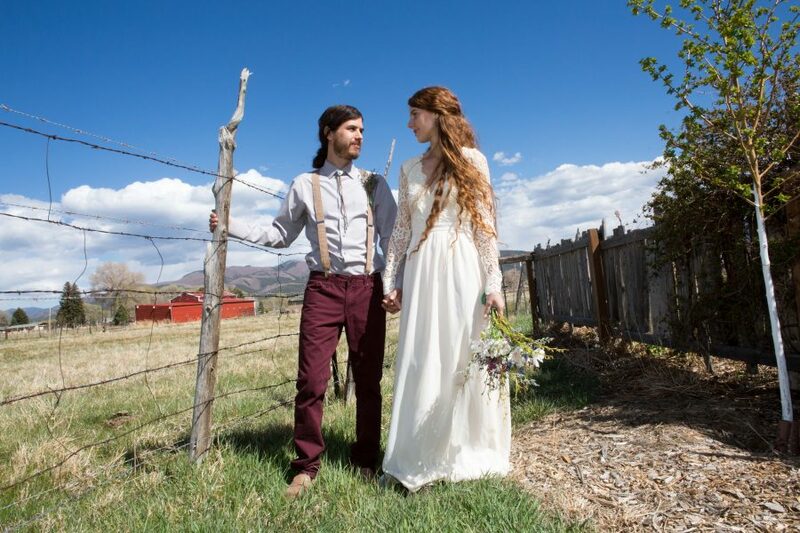 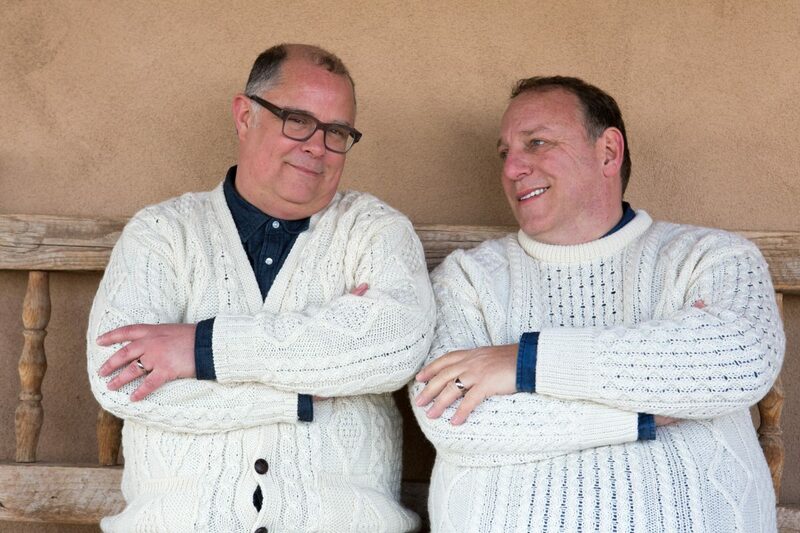 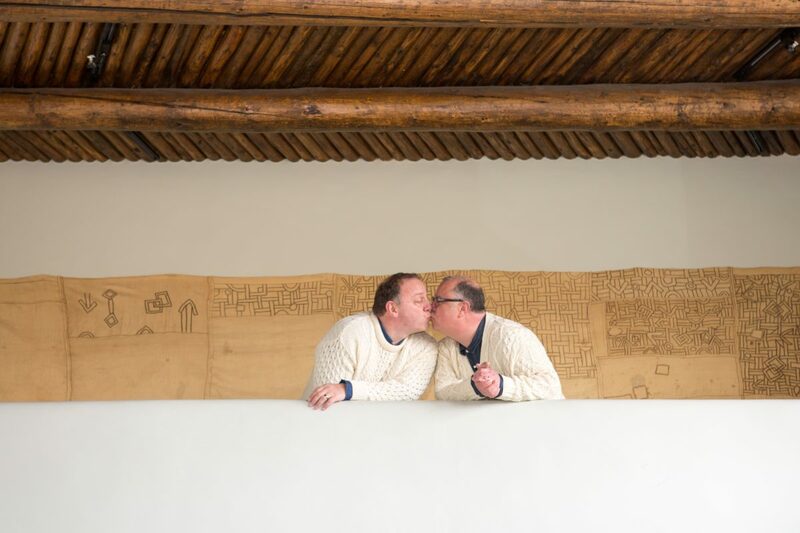 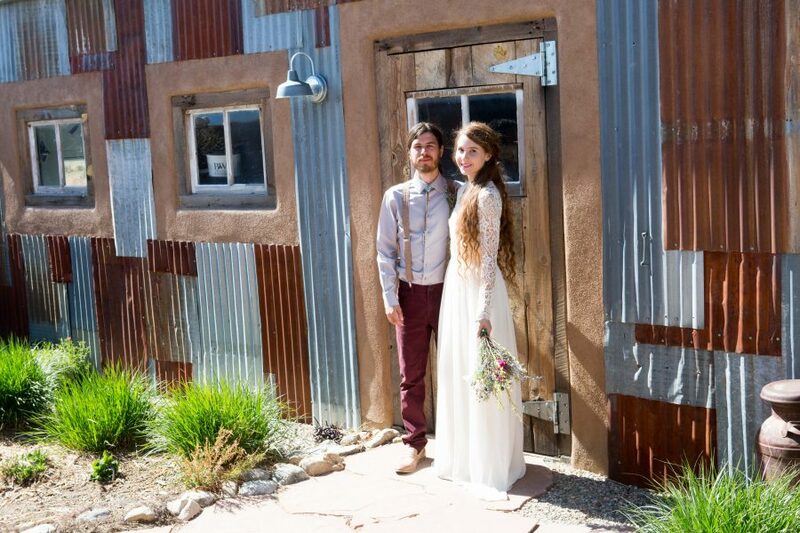 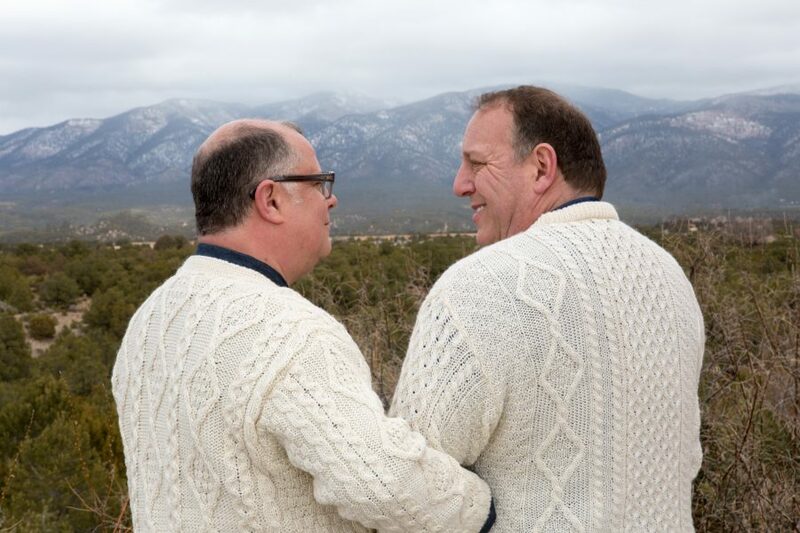 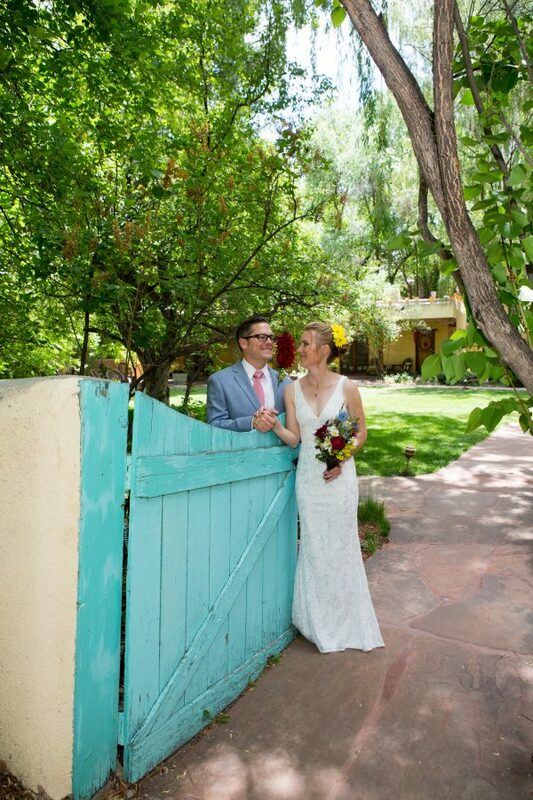 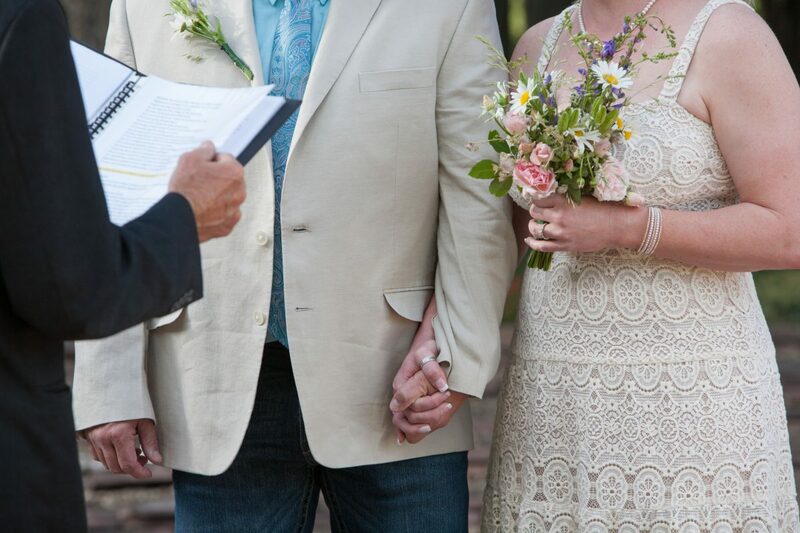 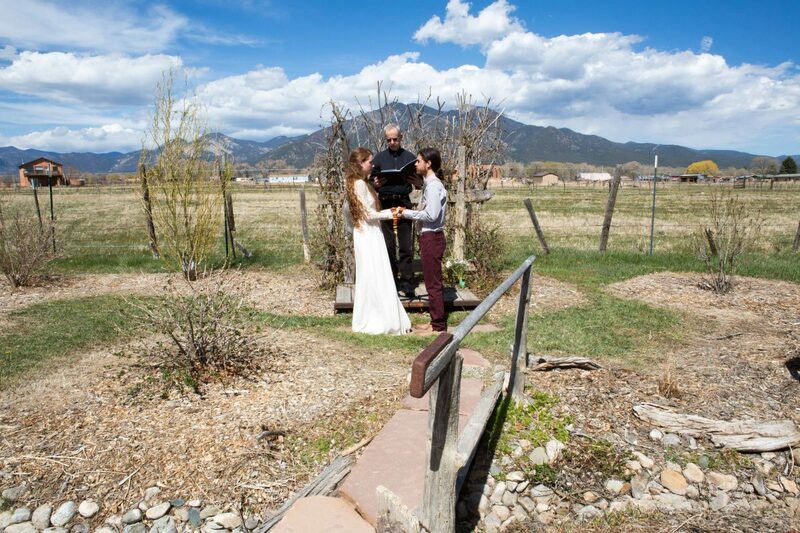 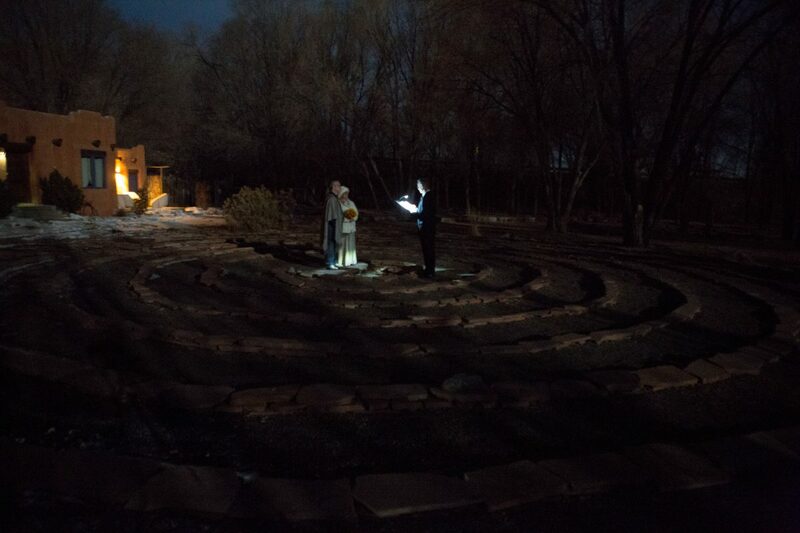 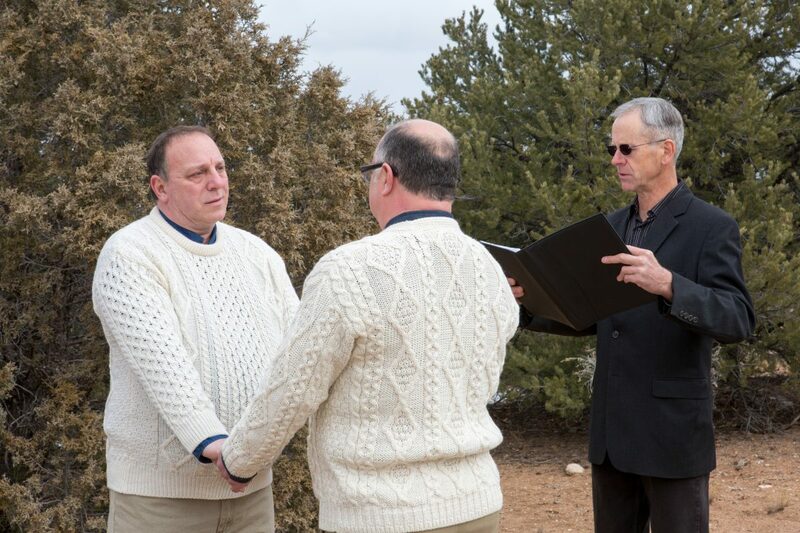 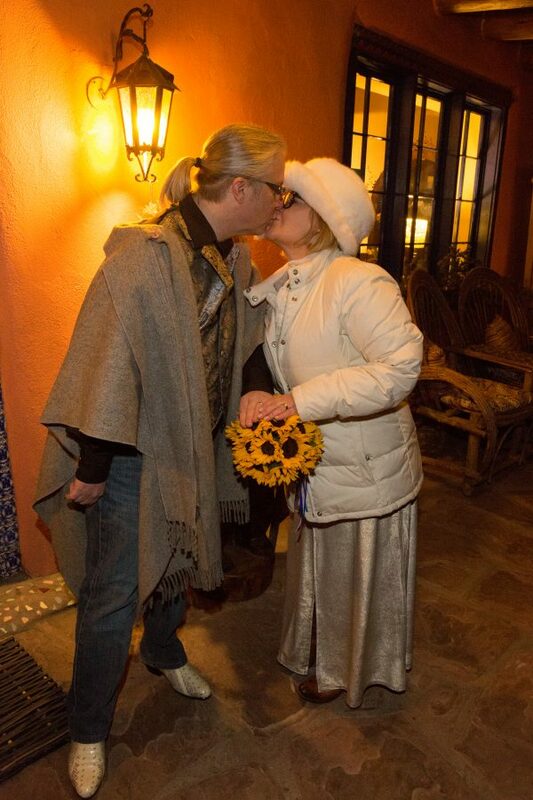 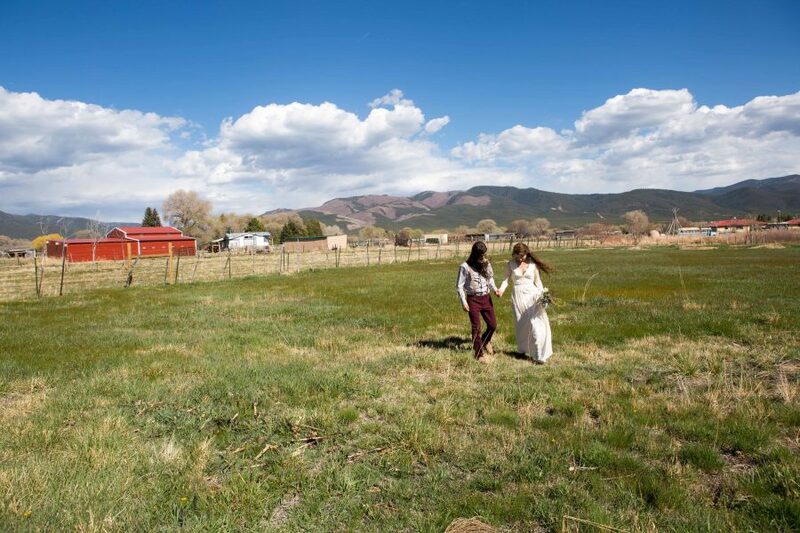 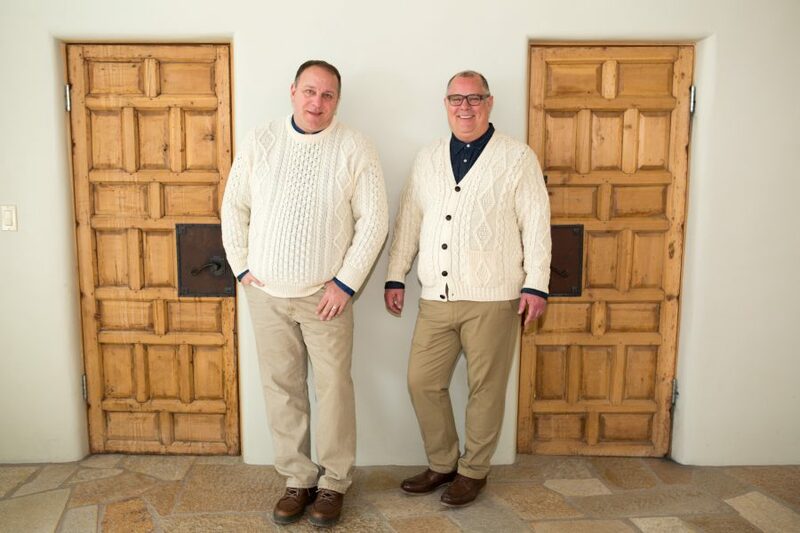 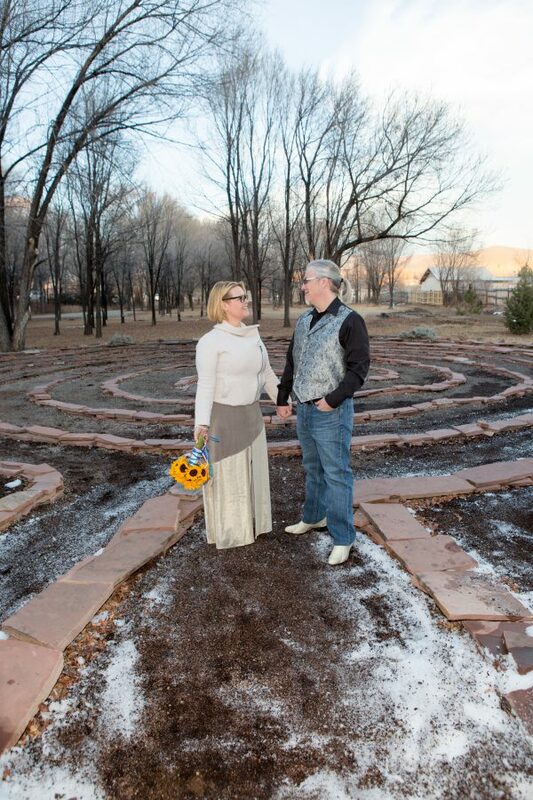 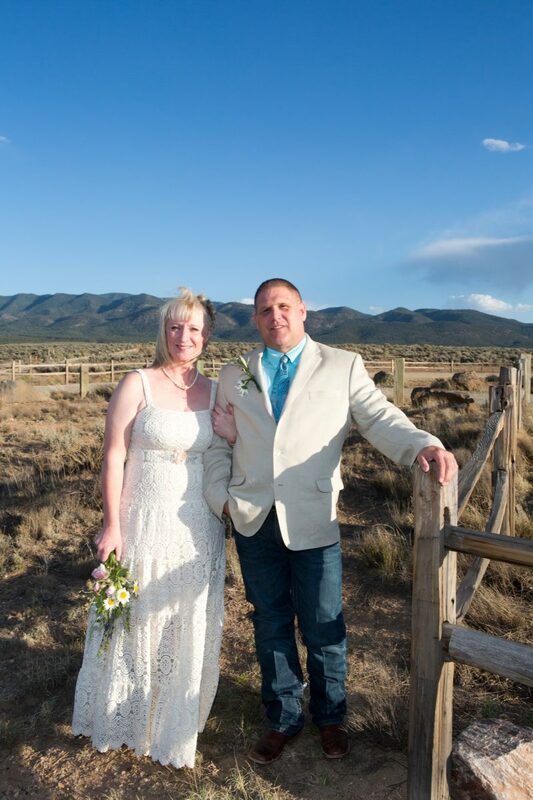 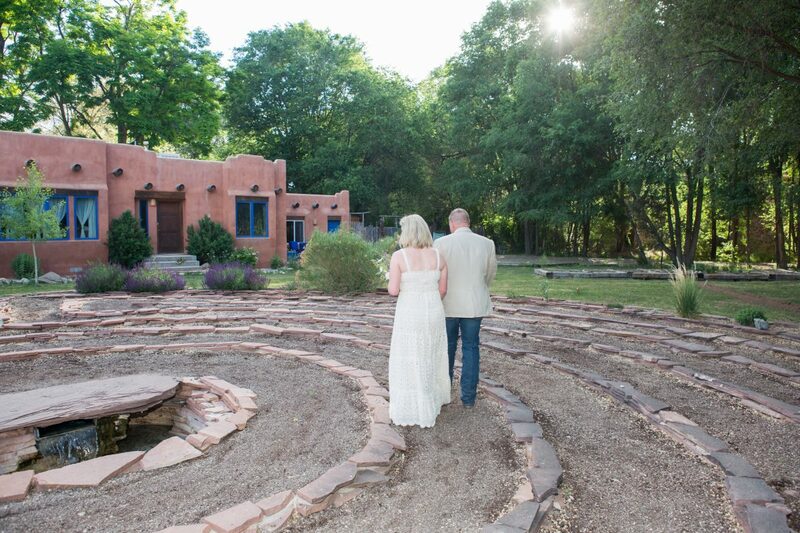 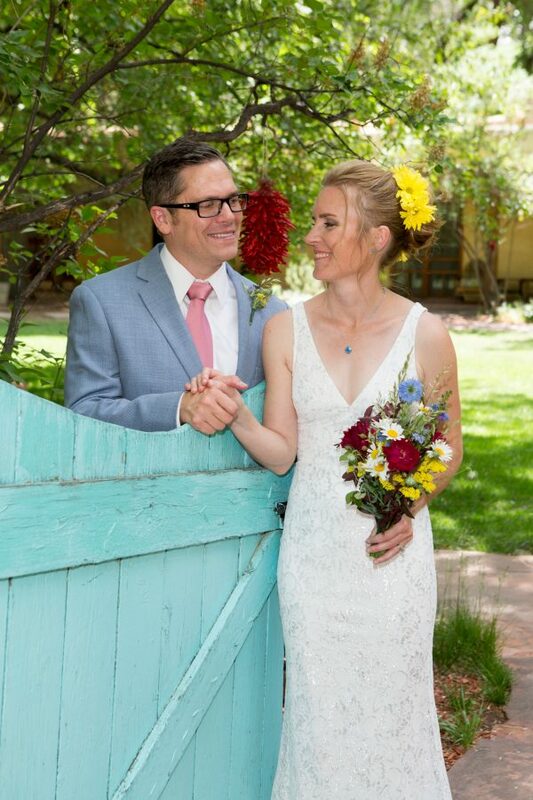 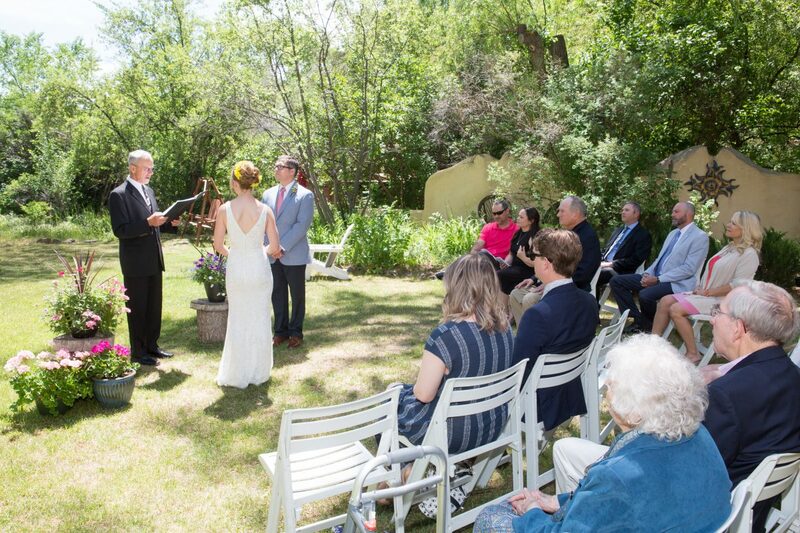 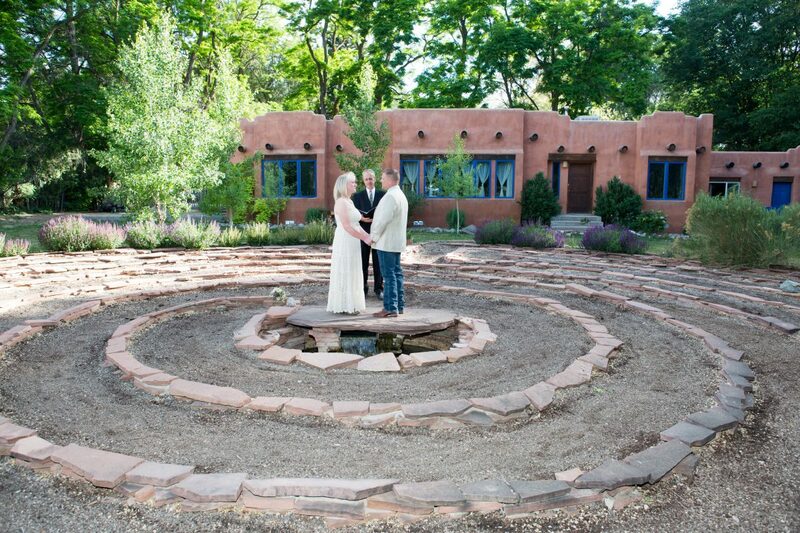 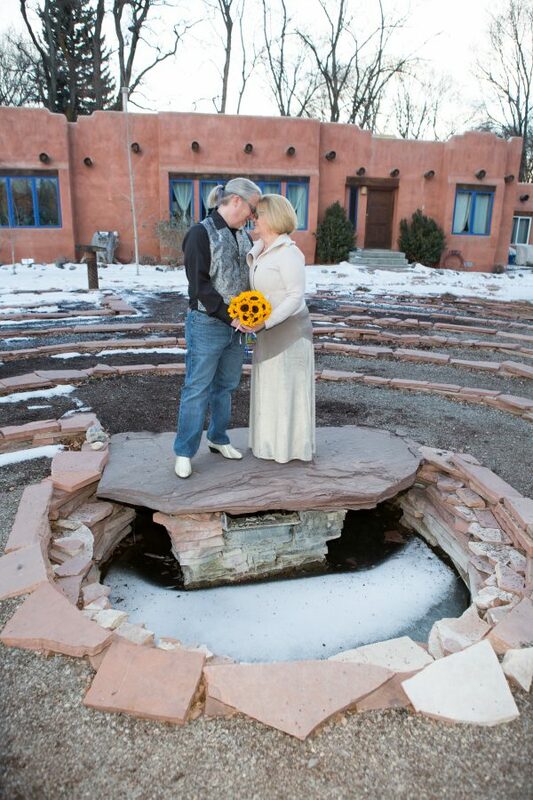 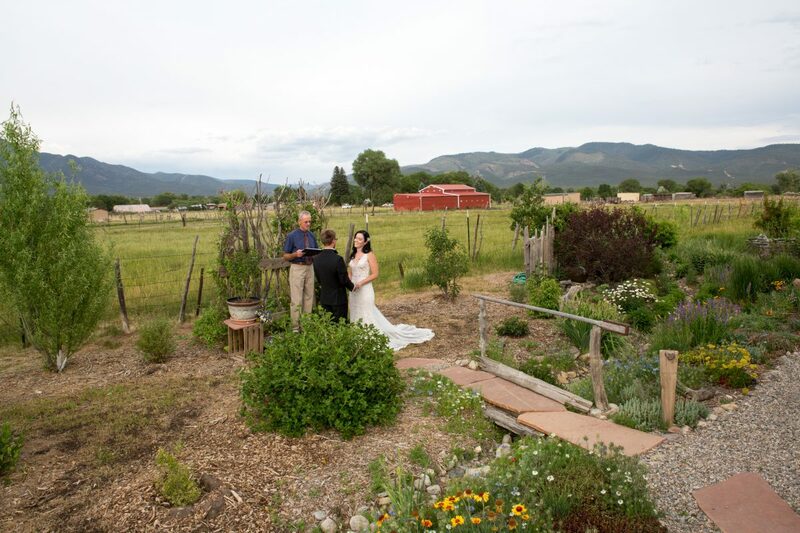 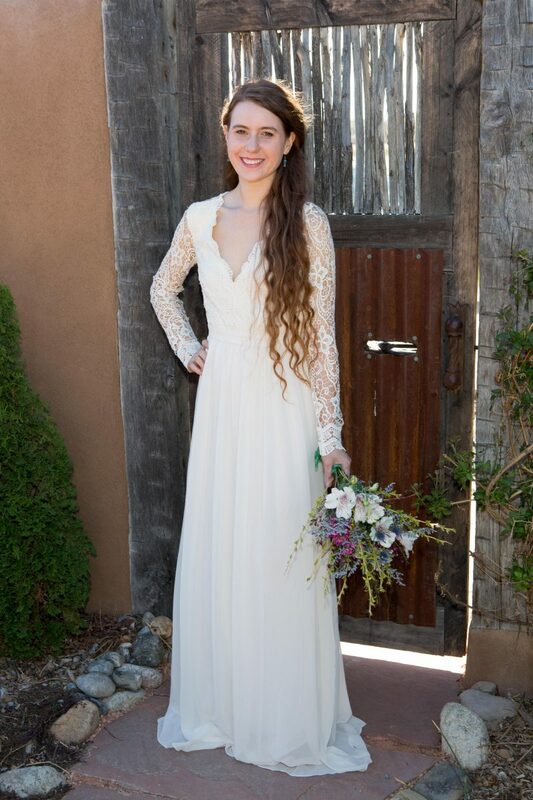 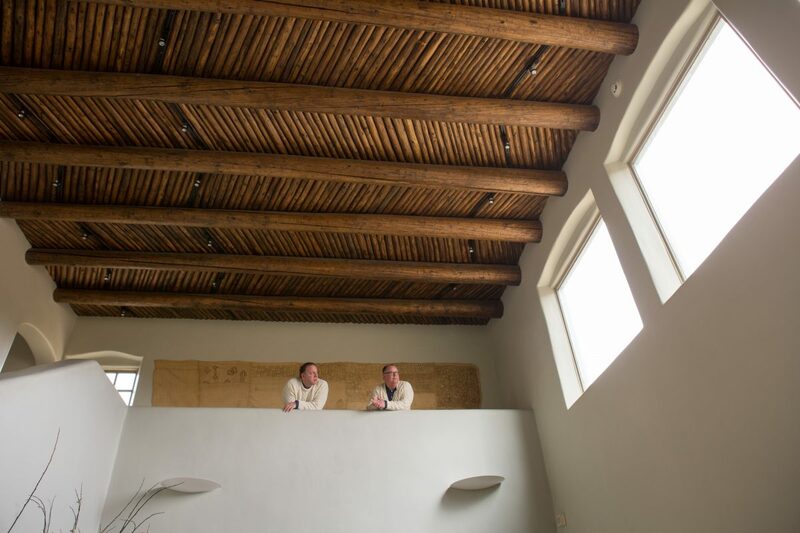 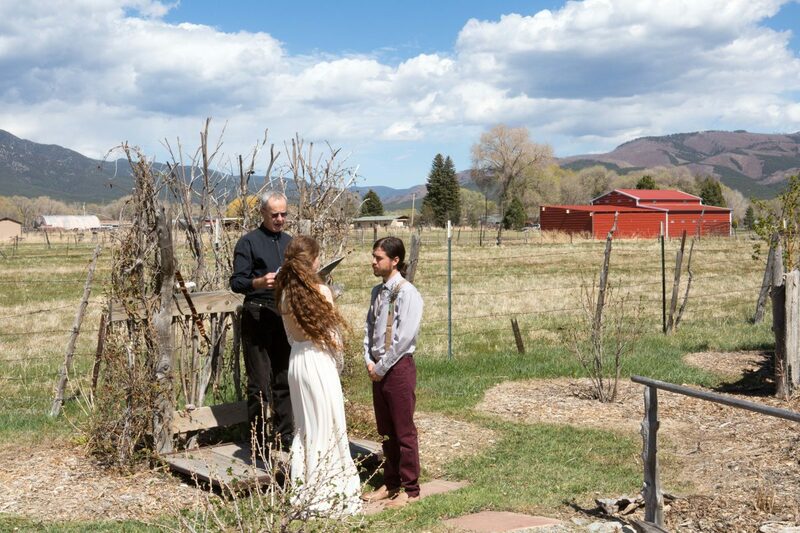 This couple had 20 friends and family meet them in Taos, NM for the ceremony and mini reception. 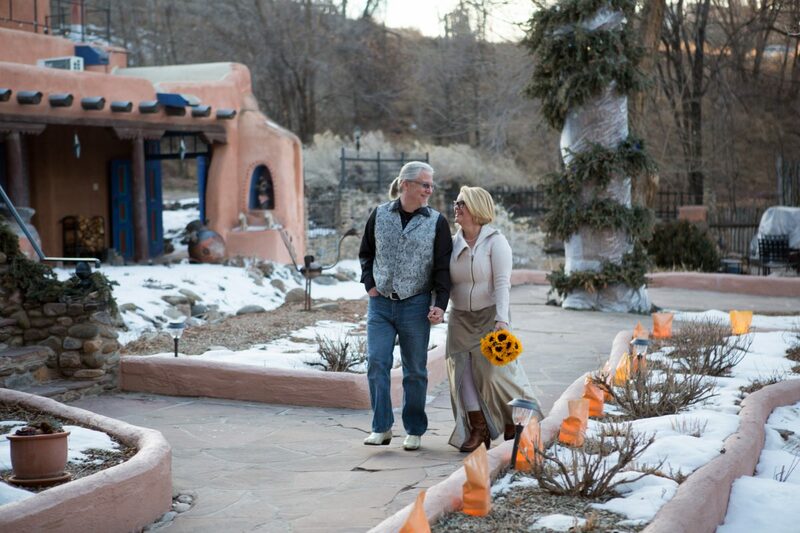 After a very dry winter, it was refreshing to see the beautiful green grass at Taos’ bed and breakfast Hacienda del Sol. 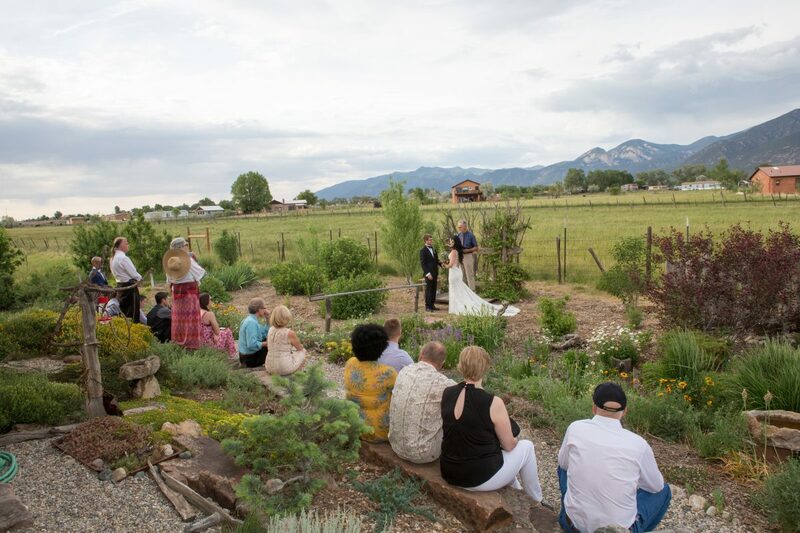 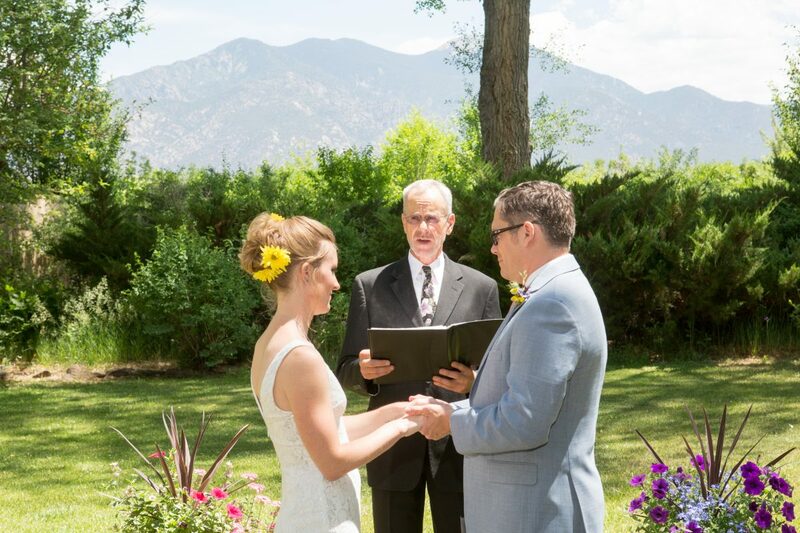 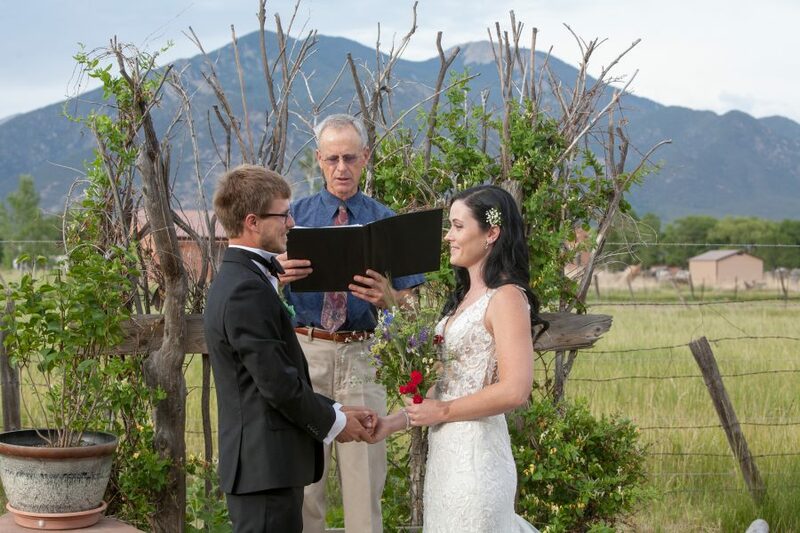 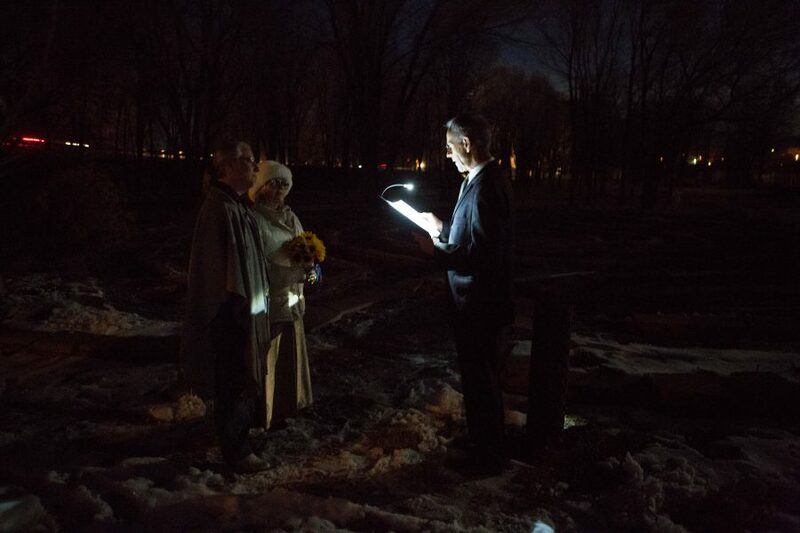 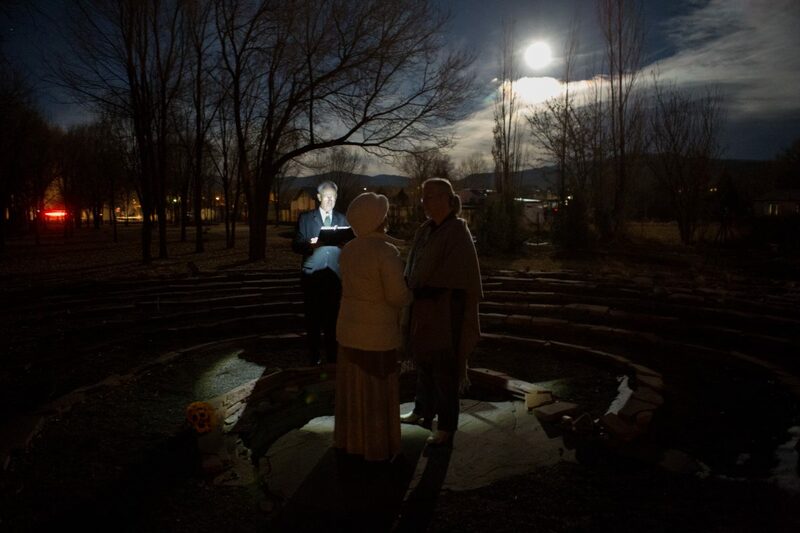 Sacred Taos Mountain overlooked on the ceremony as officiant Dan Jones presided. 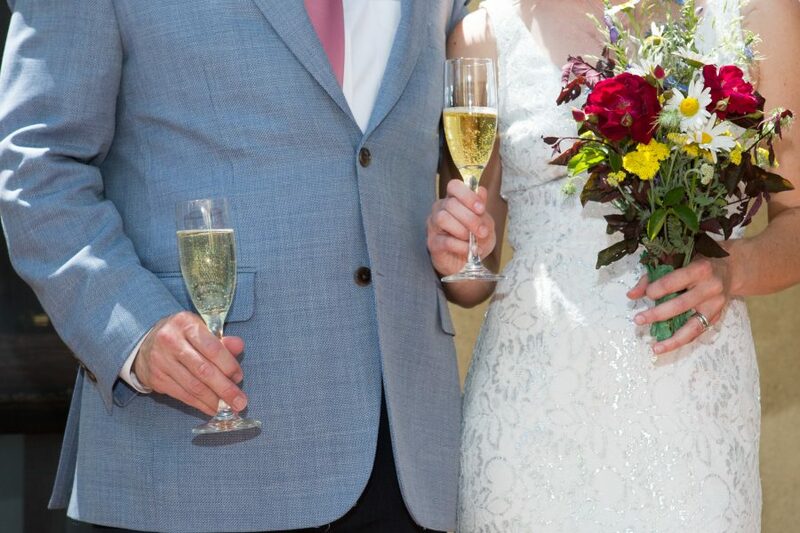 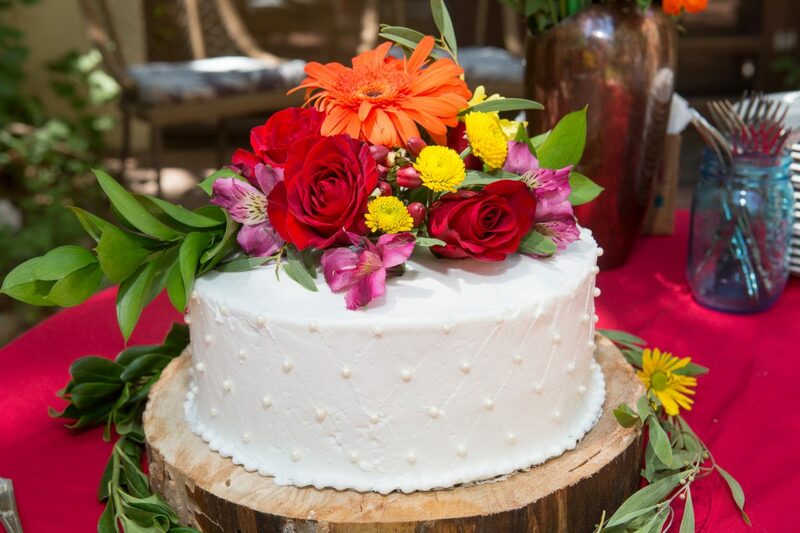 Afterwards the couple celebrated with a toast and cake cutting and outdoor mingling with their guests. 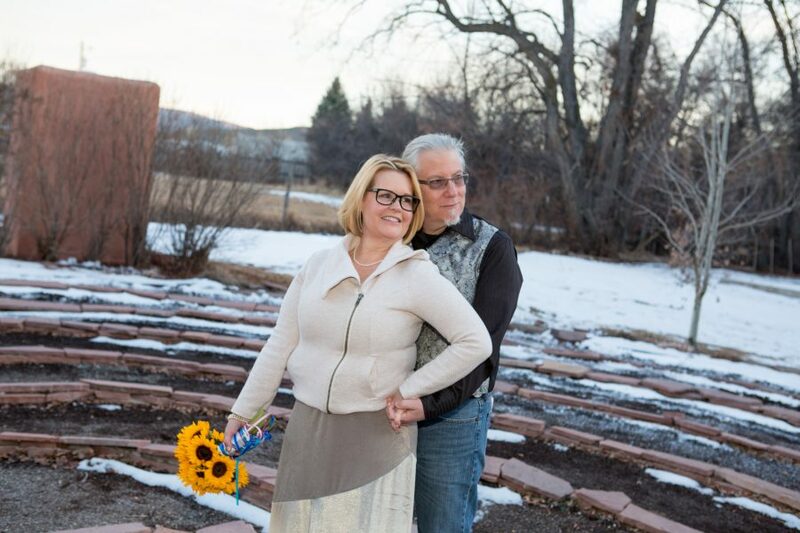 This awesome woman wanted to document her 40th year of life with a photo session! 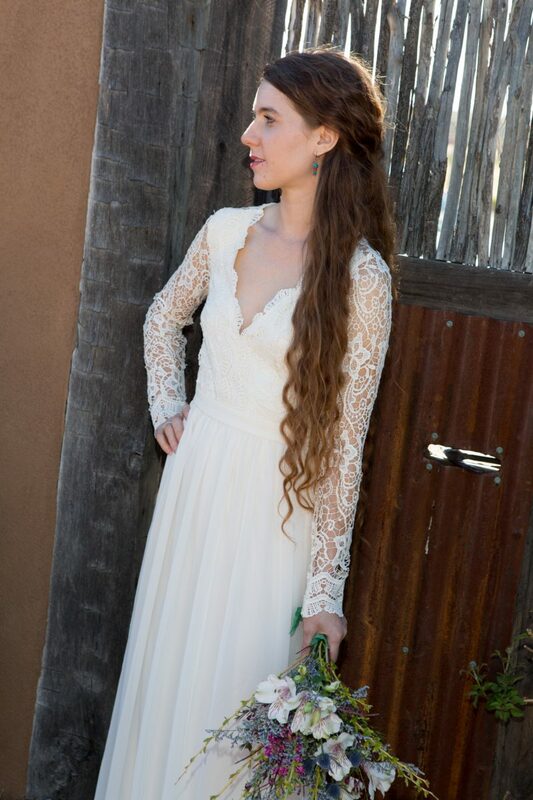 We had fun as Irene changed outfits and we found different ways to reflect her beauty and personality. 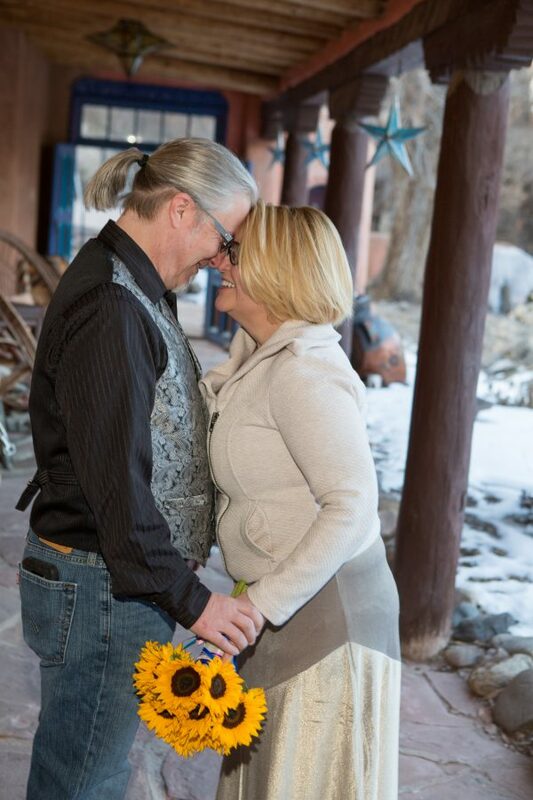 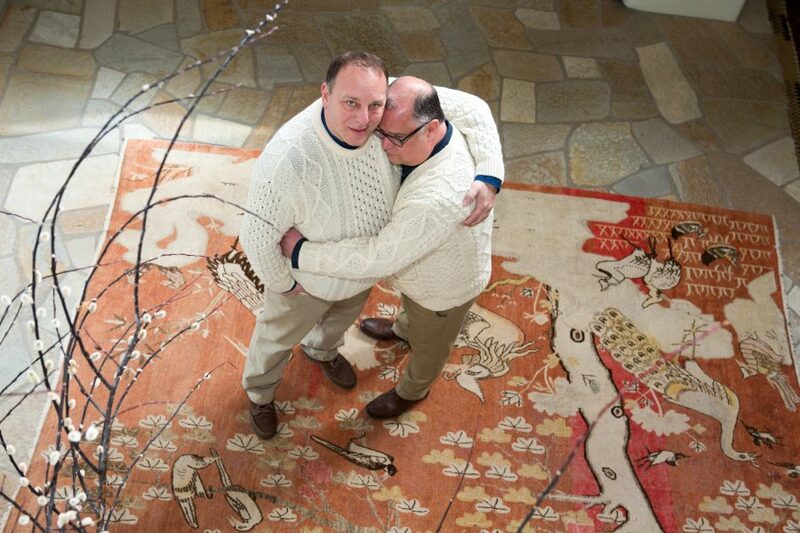 Here’s to 40 more years of happiness and adventures! 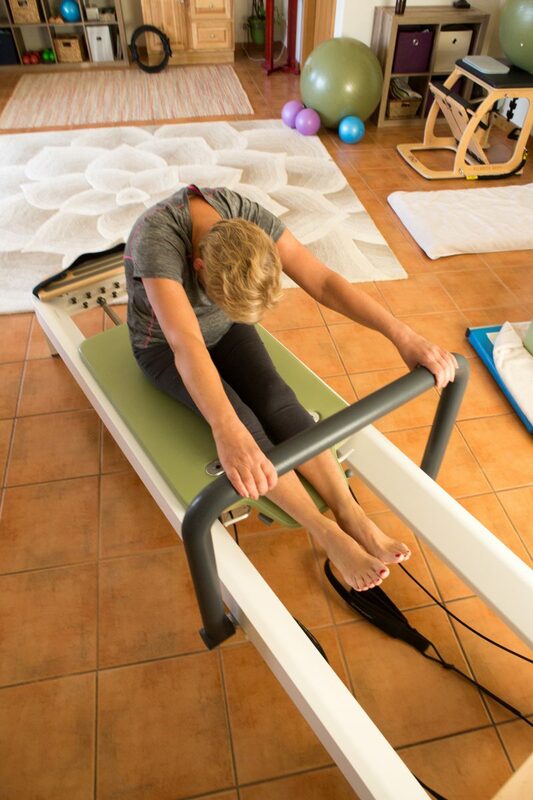 What a pleasure to work with Amber Adams, certified Pilates instructor in her 1oth year of teaching. 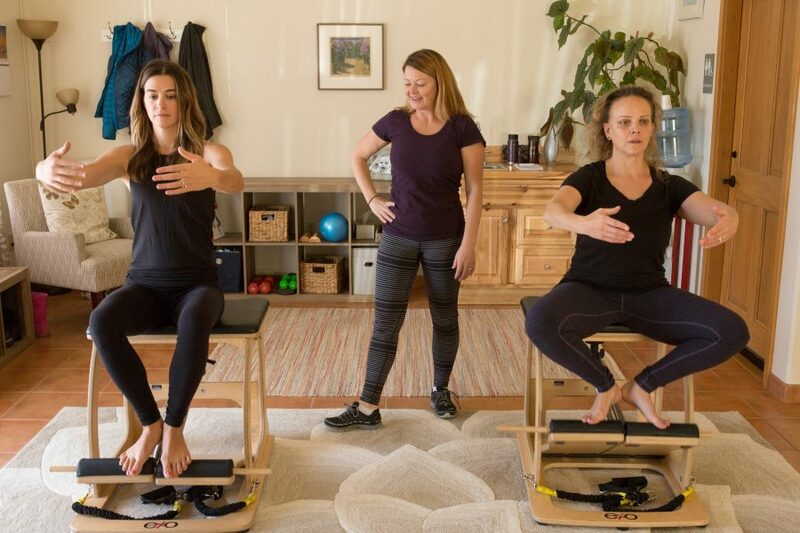 “Having gained experience as a gymnast and dancer as a youth, Amber was drawn to Pilates as a young adult because it offered a “coming home” to body mechanics and movement. 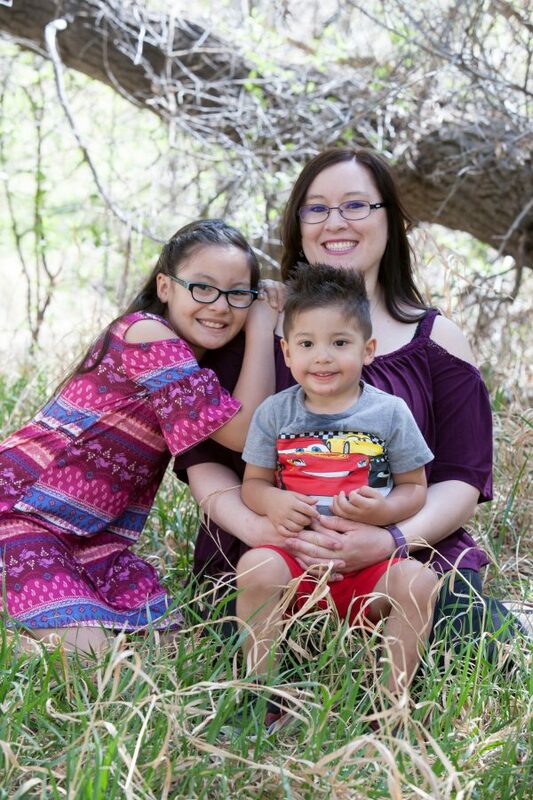 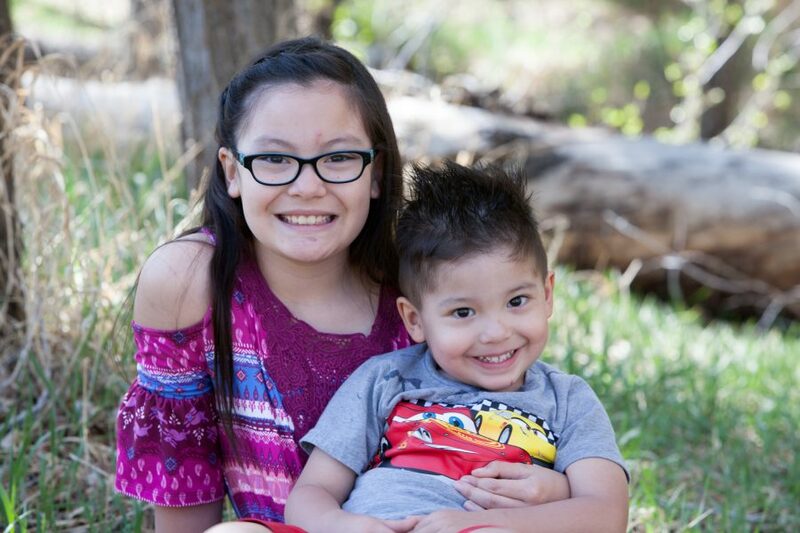 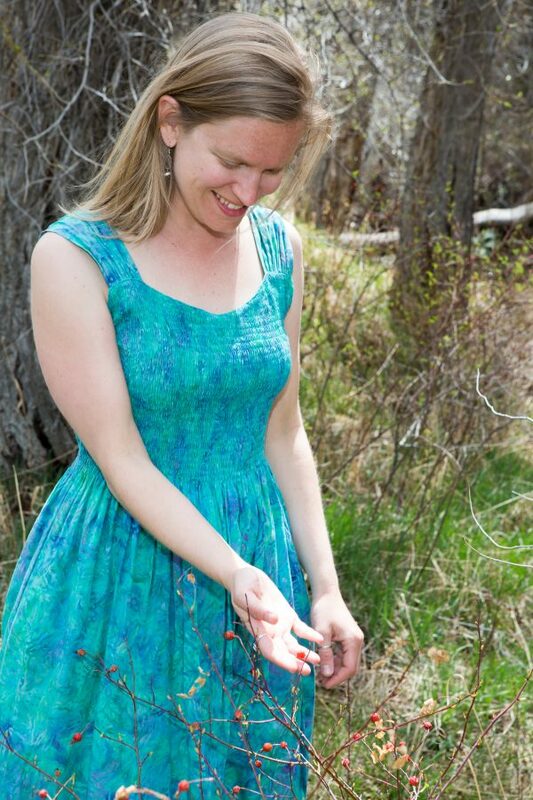 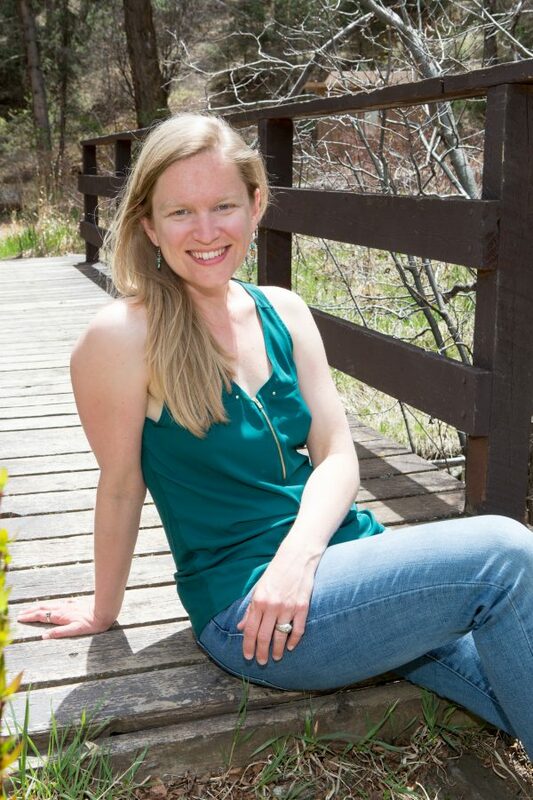 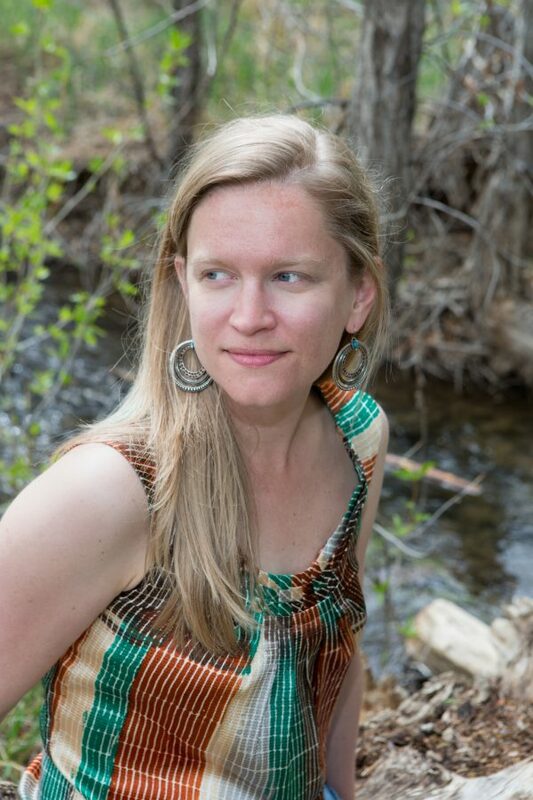 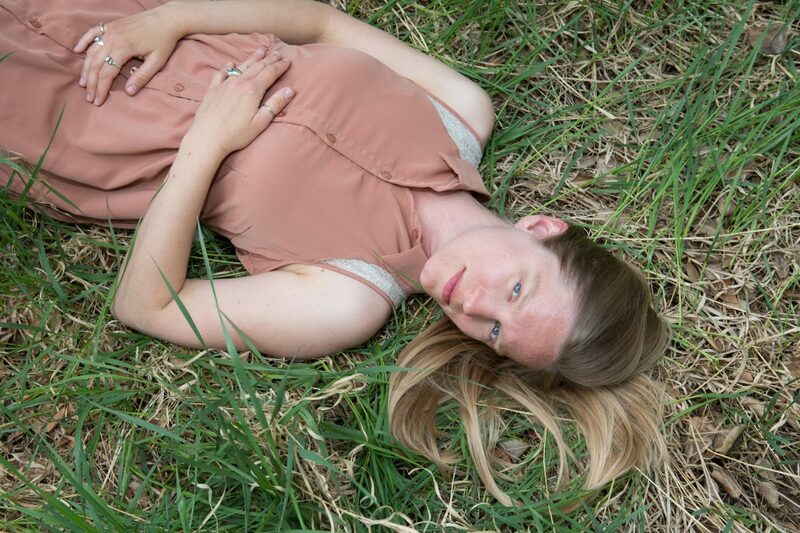 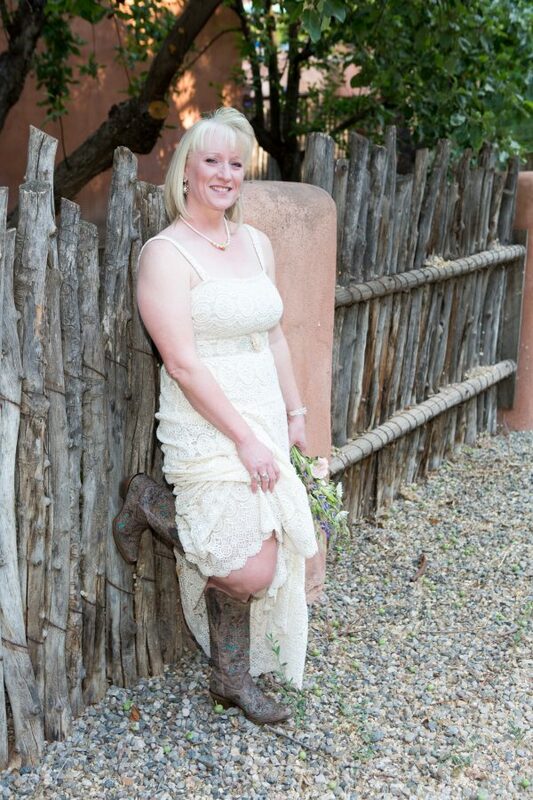 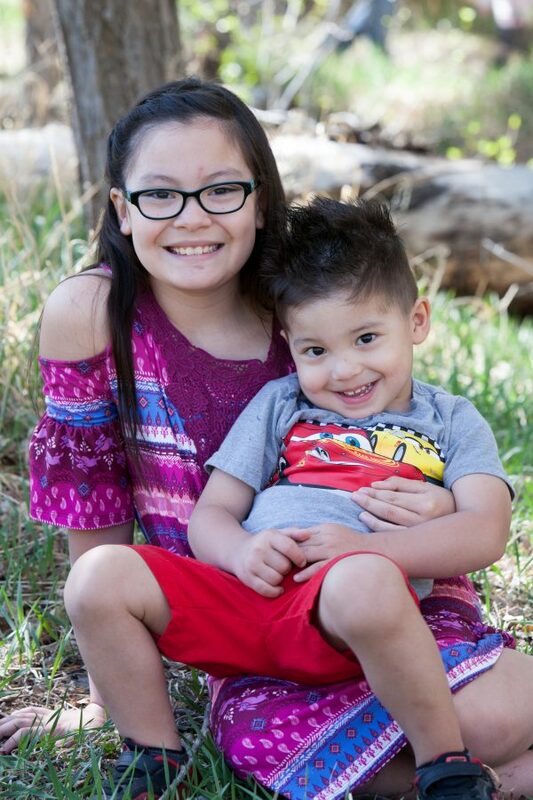 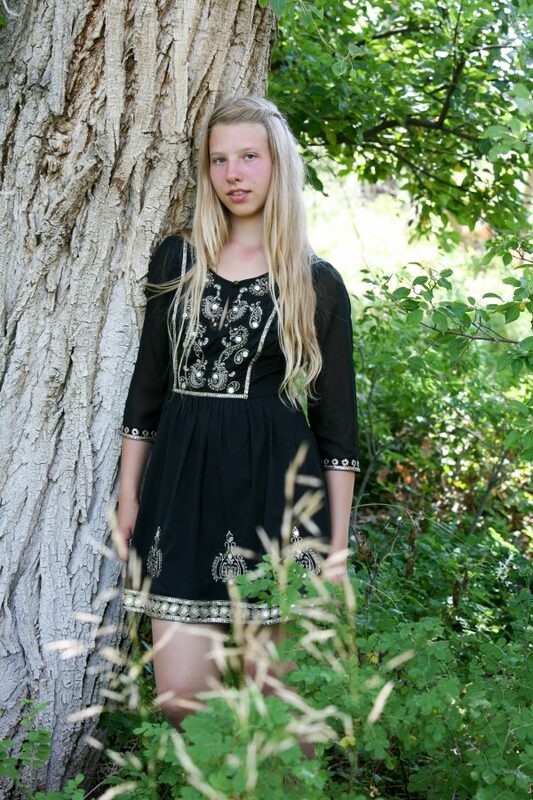 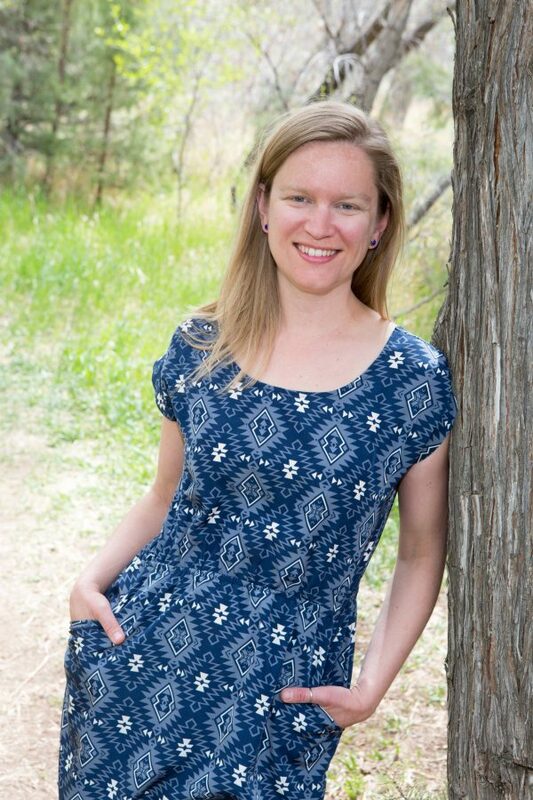 With a Bachelor of Arts in Fine Arts from Western Kentucky University, she moved to Taos in 2003. 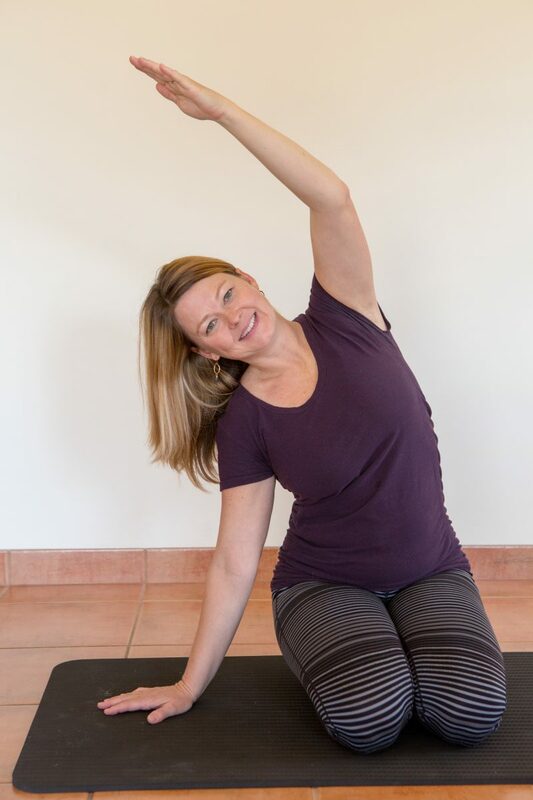 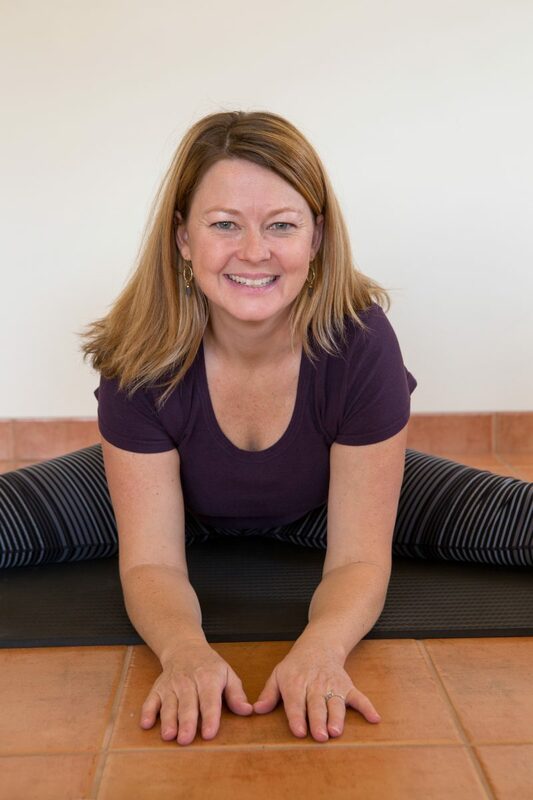 She received her Pilates certification in 2008 after working for two years with Michele Larson of Core Dynamics in Santa Fe and interning with Carrie Field at Taos Pilates Studio. 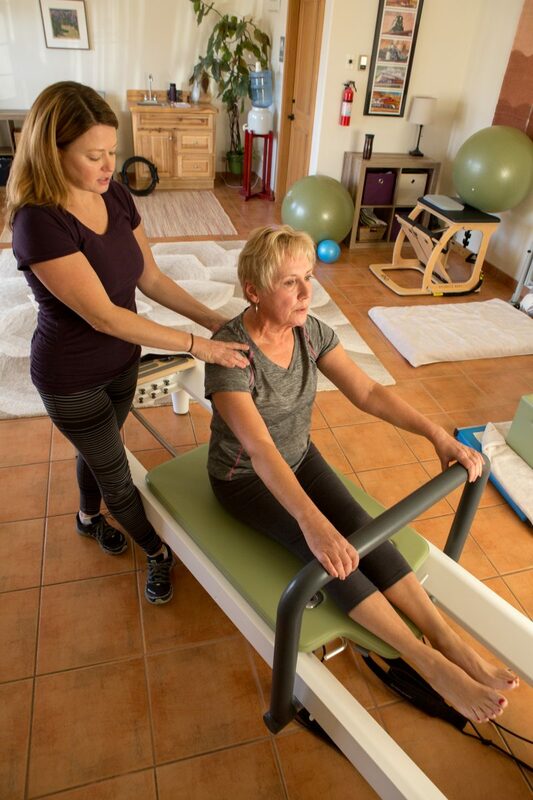 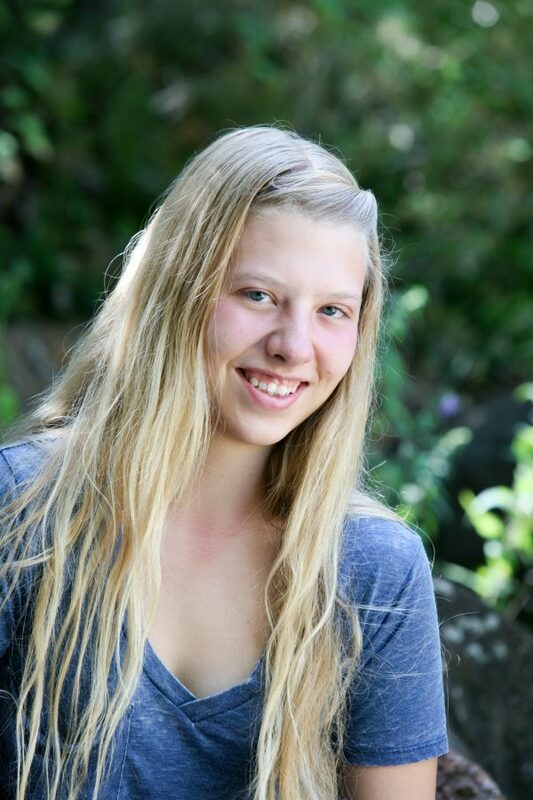 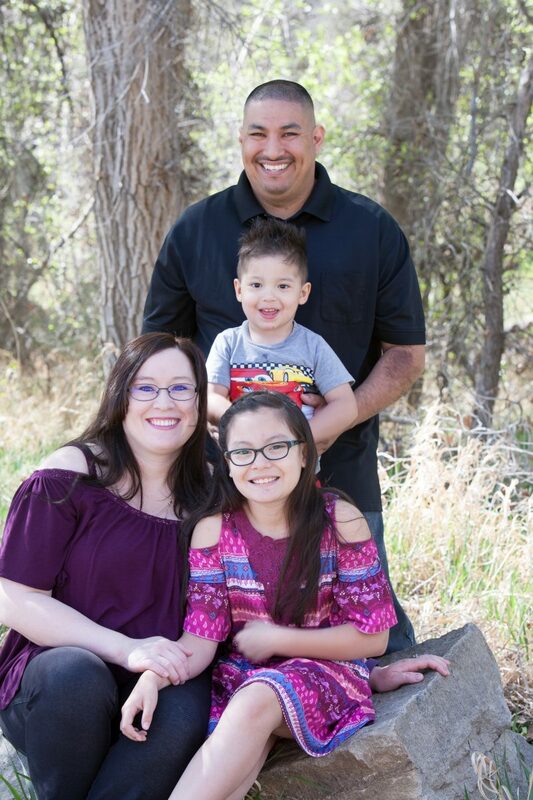 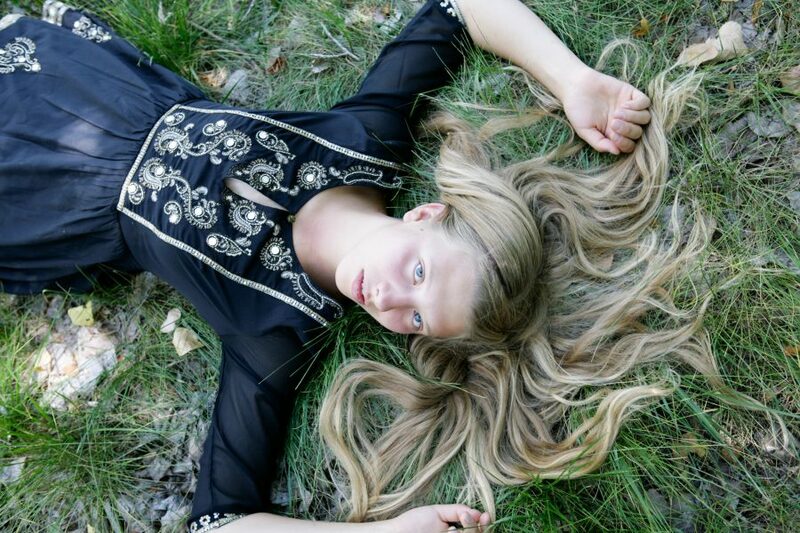 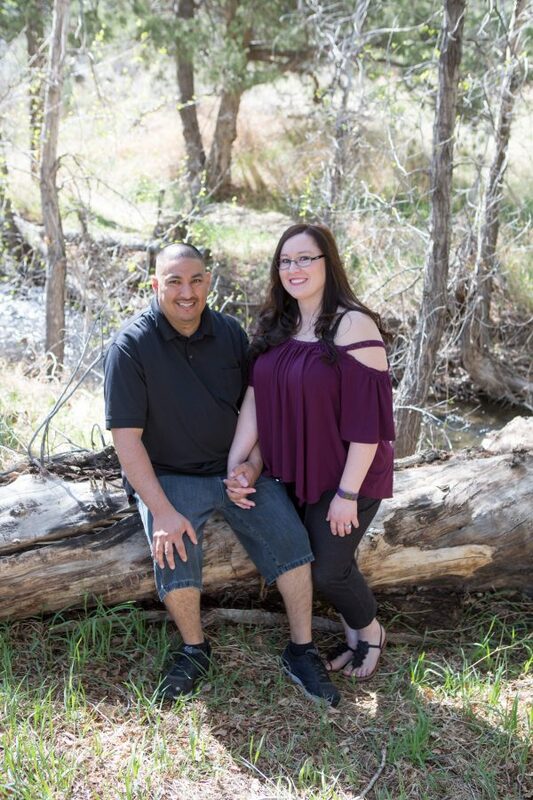 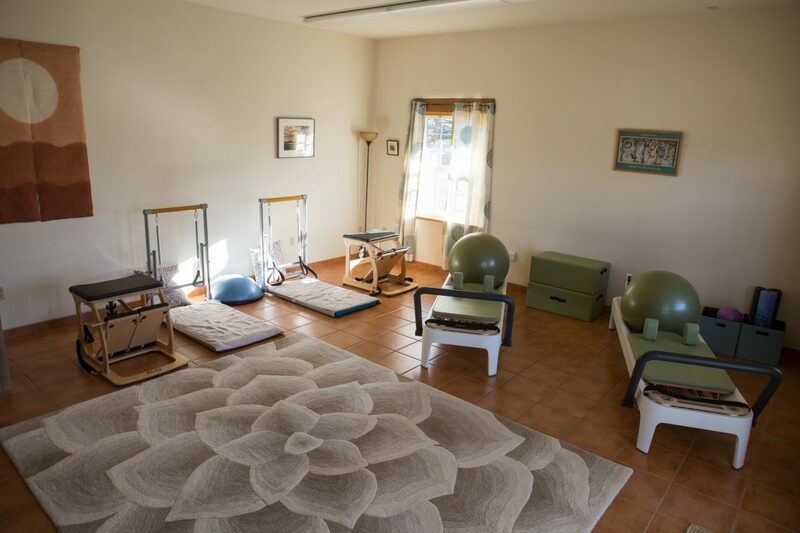 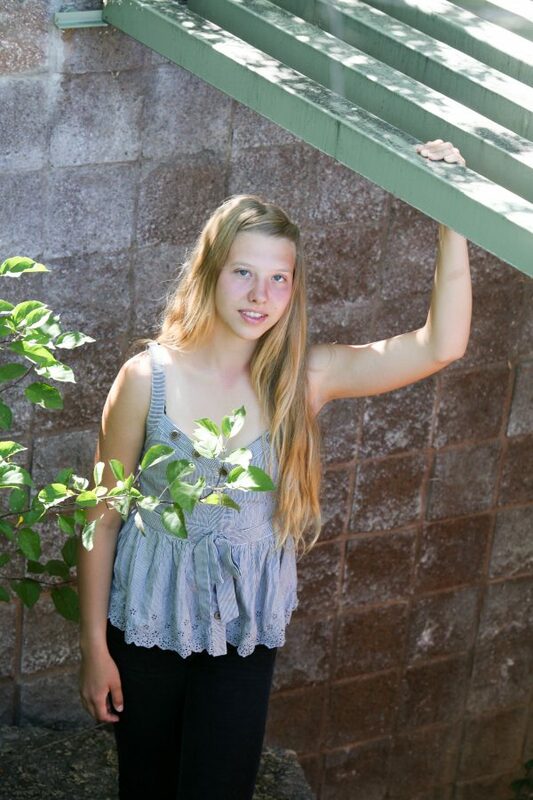 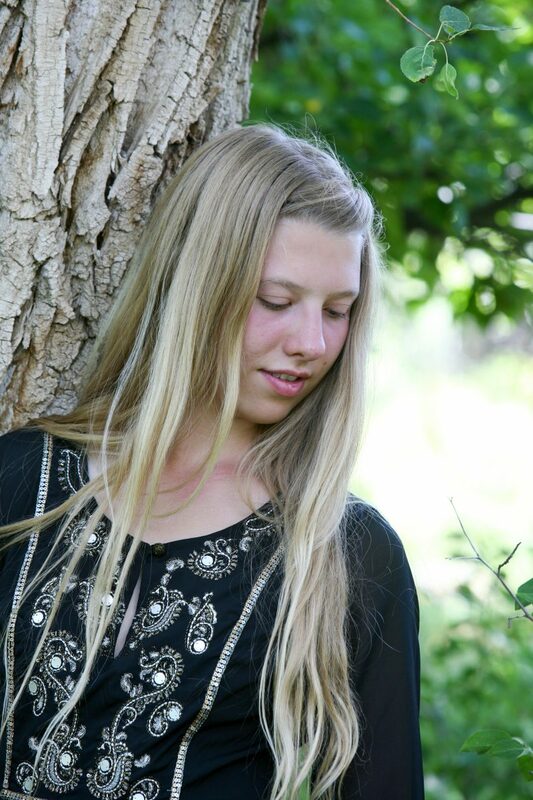 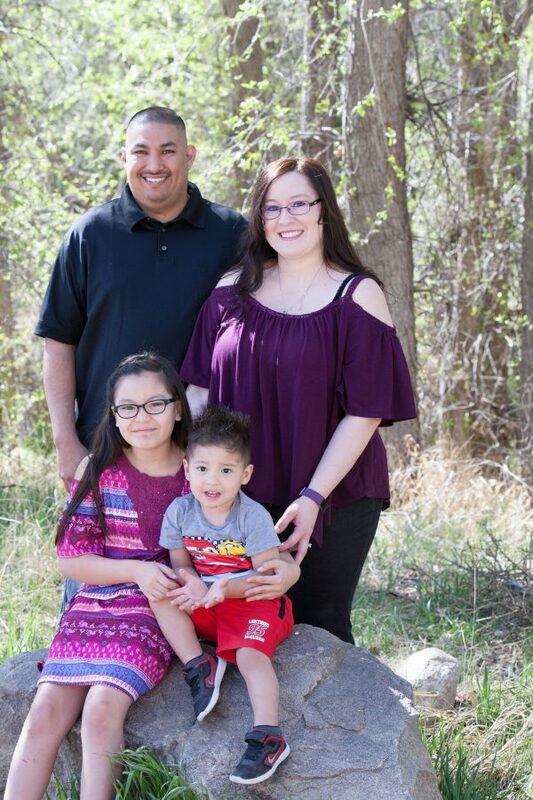 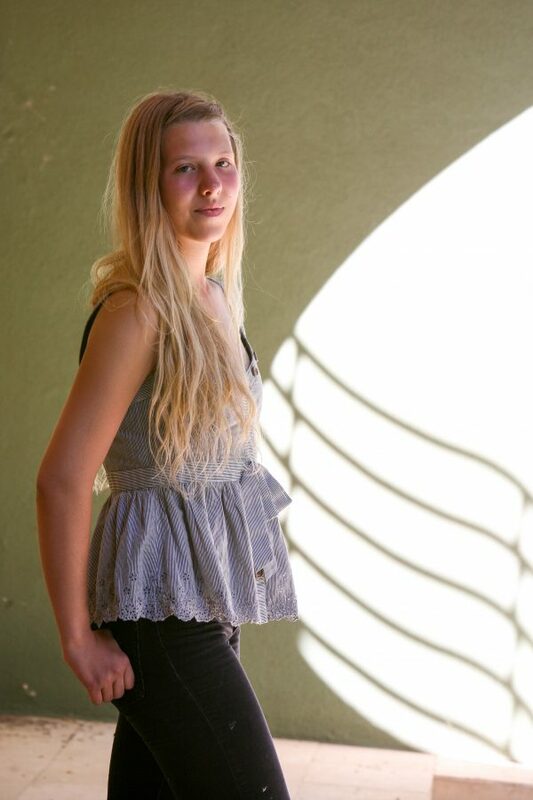 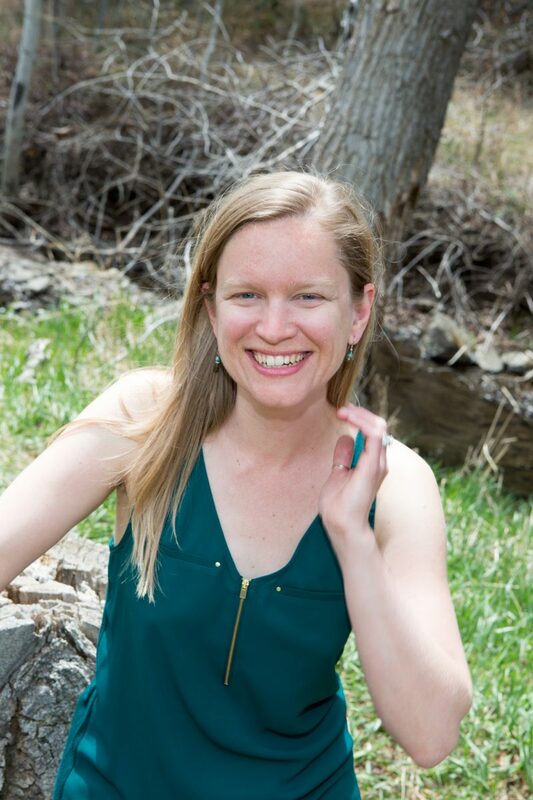 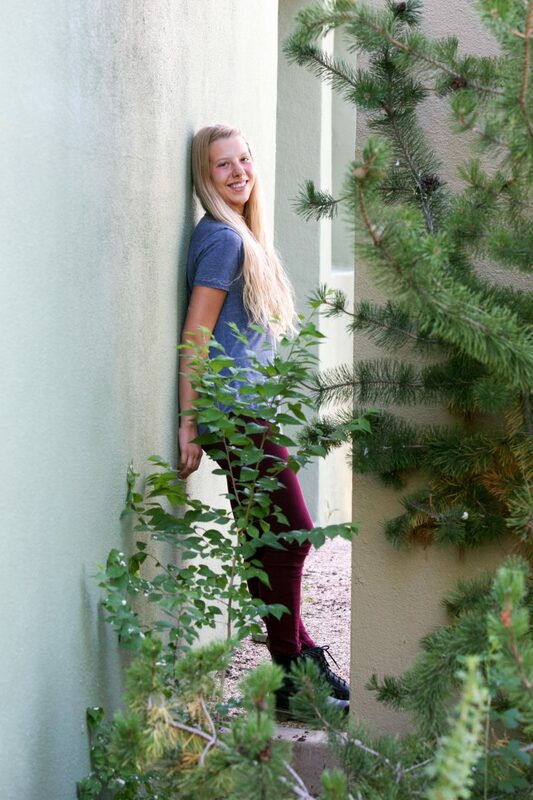 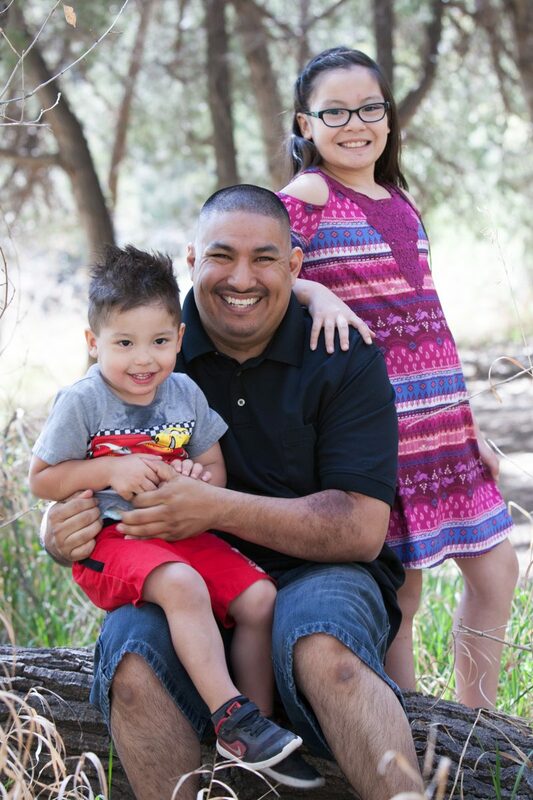 Committed to continuing education in the field, she has pursued advanced work with the Balanced Body Program in Denver as well as with Core Dynamics. Attending smaller workshops with Alan Herdman and Madeline Black.